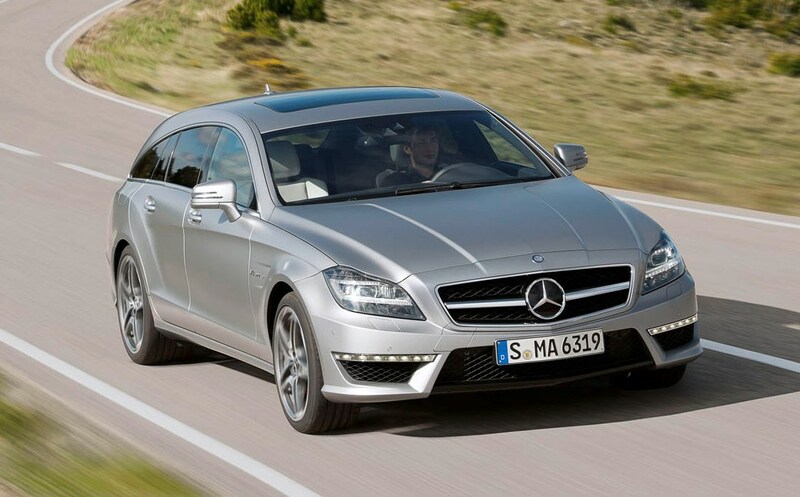 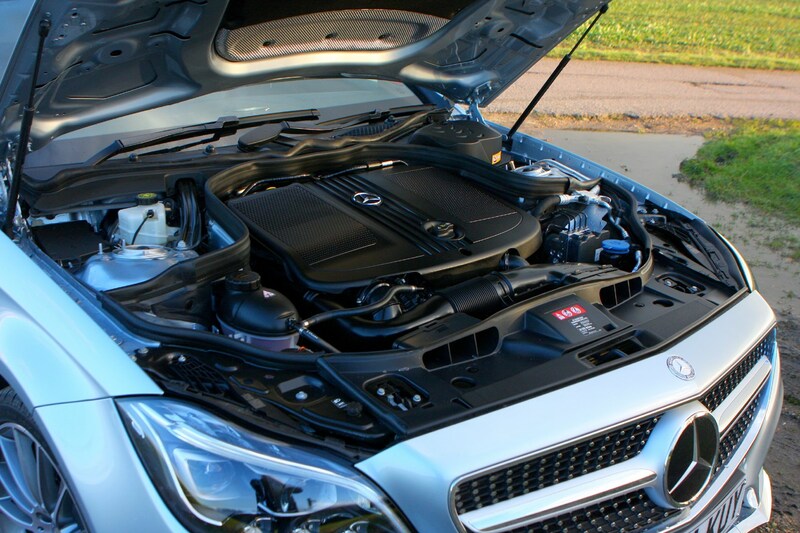 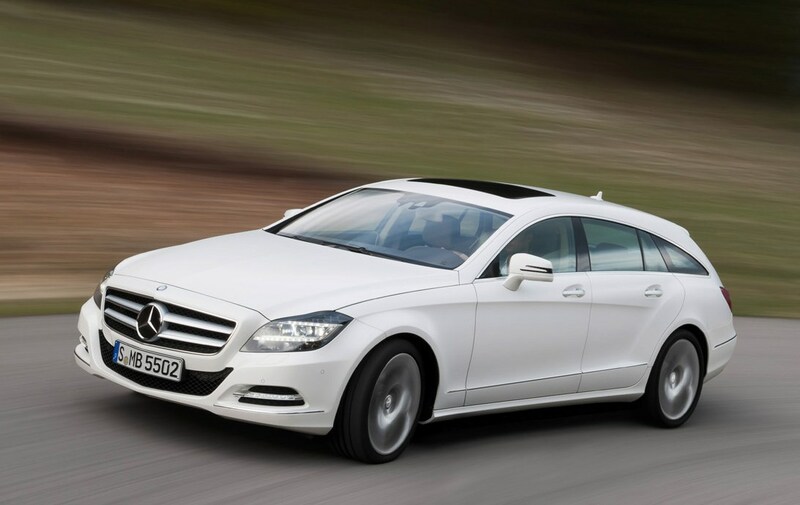 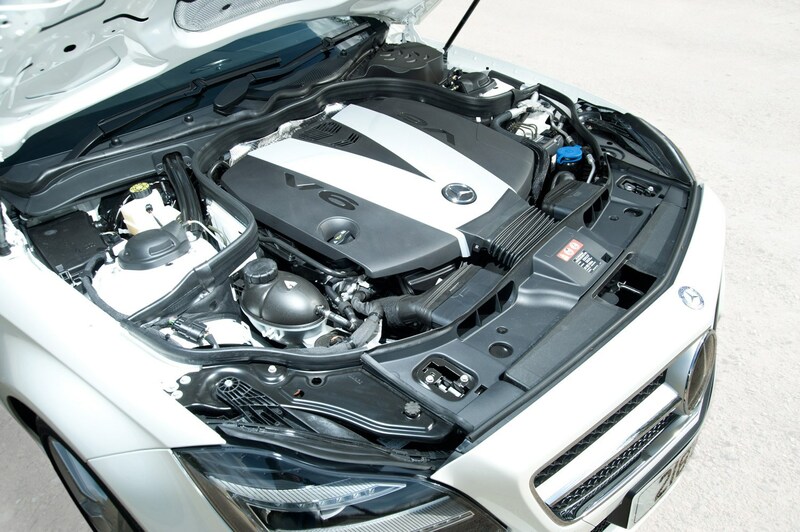 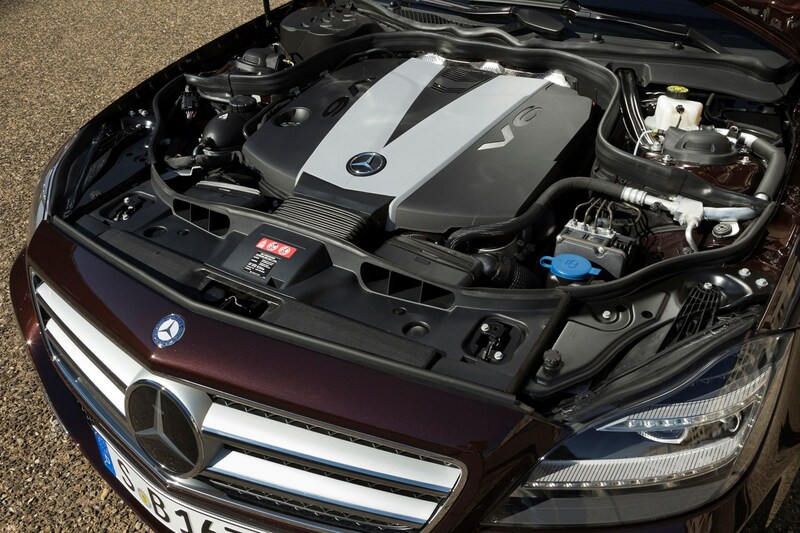 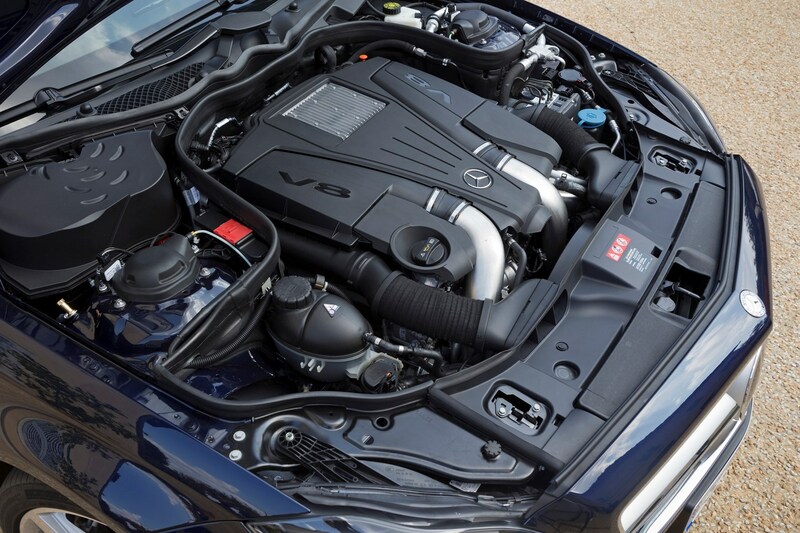 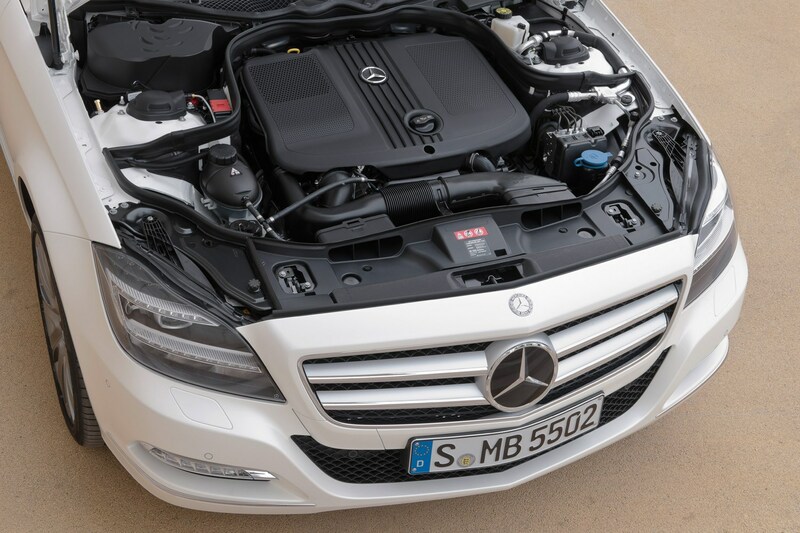 There are three diesel engines to choose from, comprising a 220 BlueTEC four-cylinder 2.1-litre unit with 168bhp, a 250 CDI four-cylinder 2.1-litre unit that delivers 201bhp and a 3.0-litre 350 CDI V6 with 255bhp. 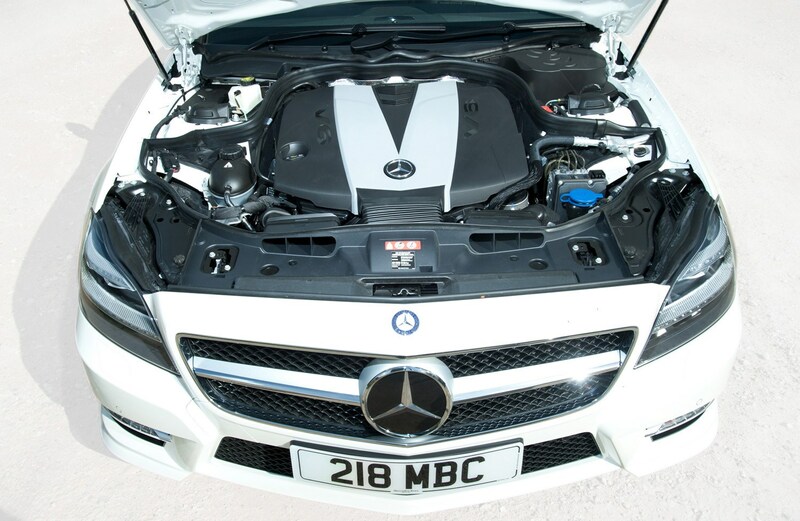 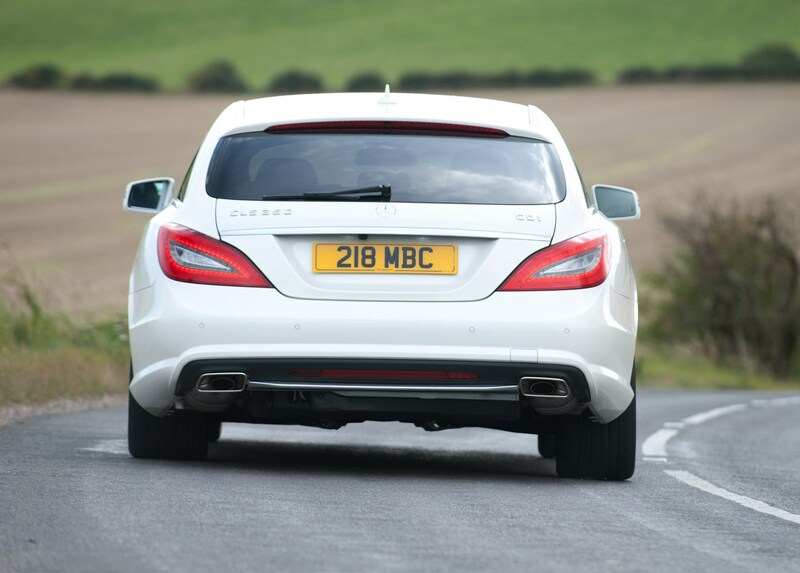 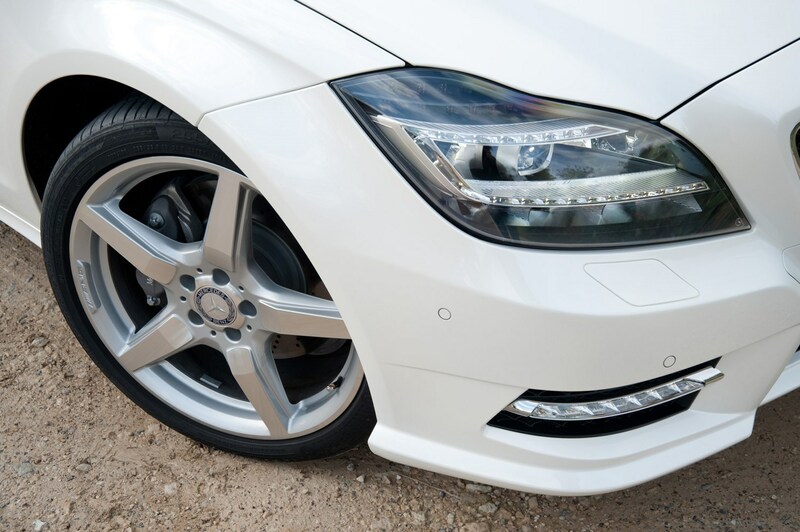 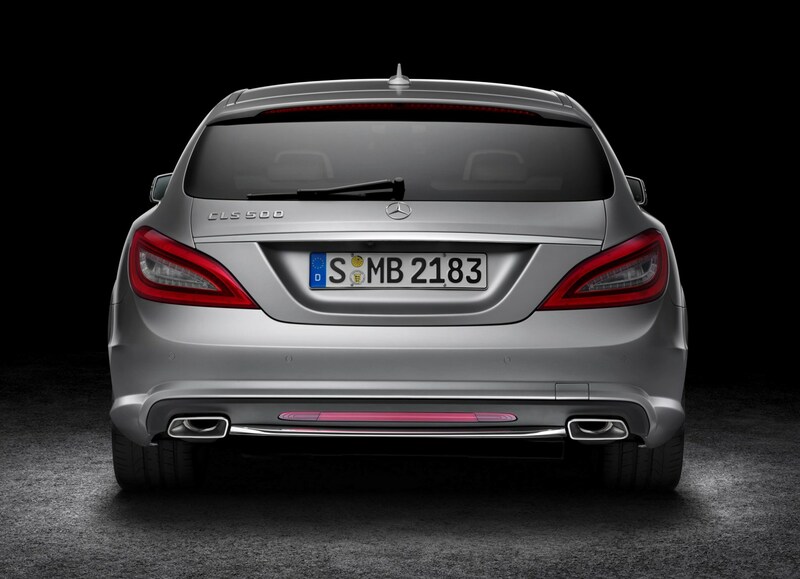 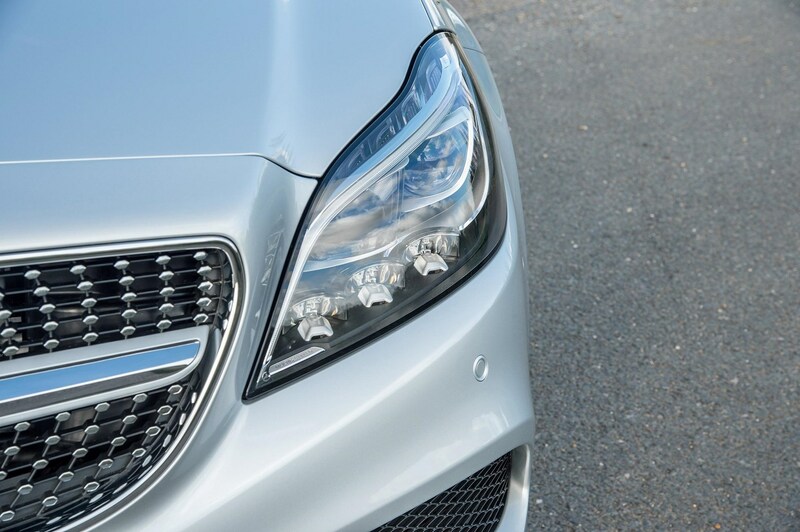 They are all capable performers: the220 BlueTEC completes the 0-62mph benchmark in just 8.6 seconds while the mechanically similar but more powerful 250 model manages the same in just 7.7 seconds. 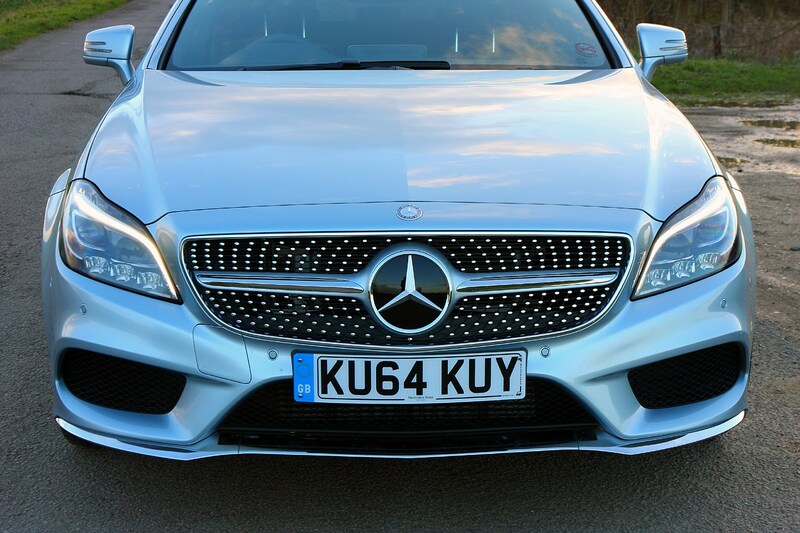 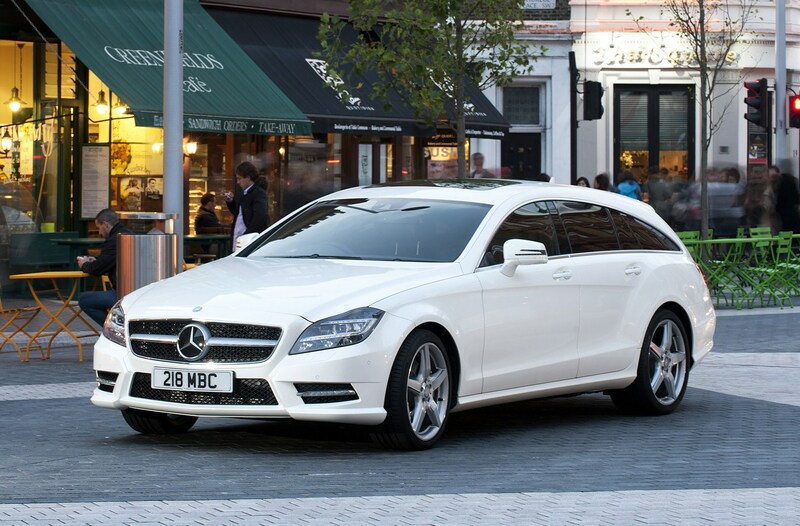 Choose the range-topping (diesel) 350 BlueTEC and that time drops to only 5.7 seconds with an electronically limited top speed of 155mph. 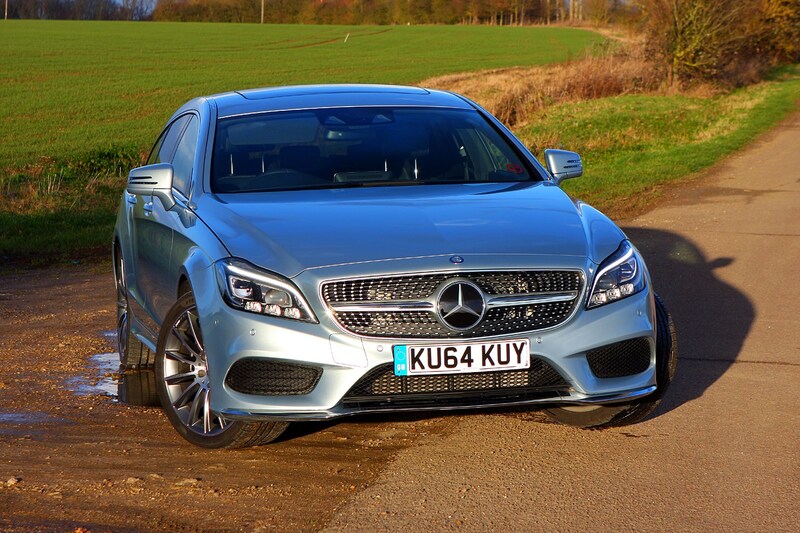 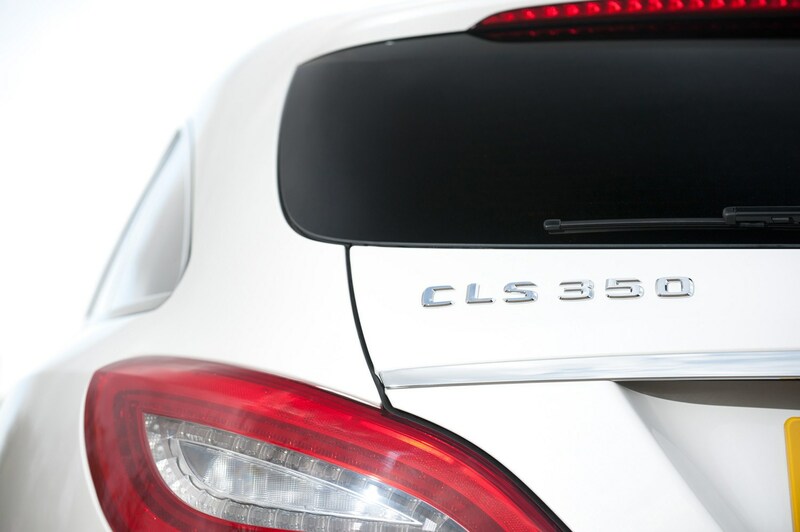 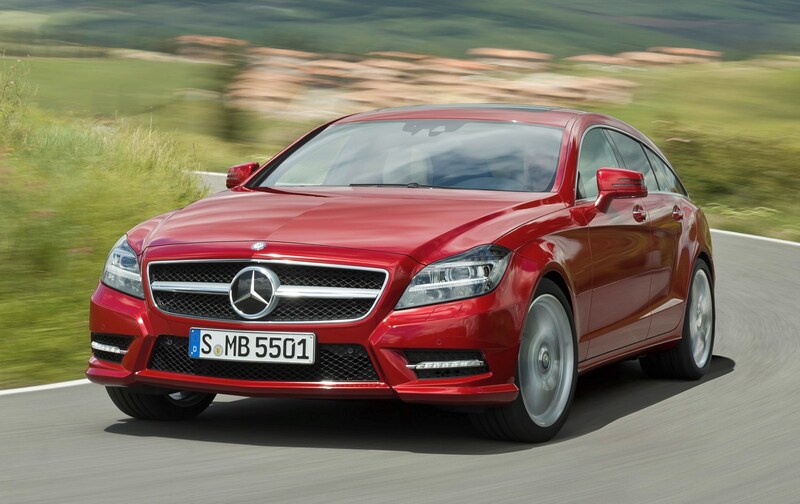 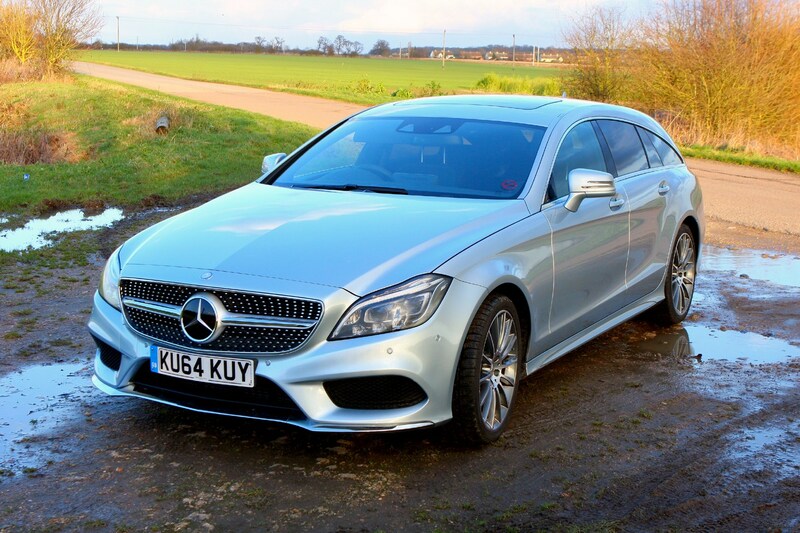 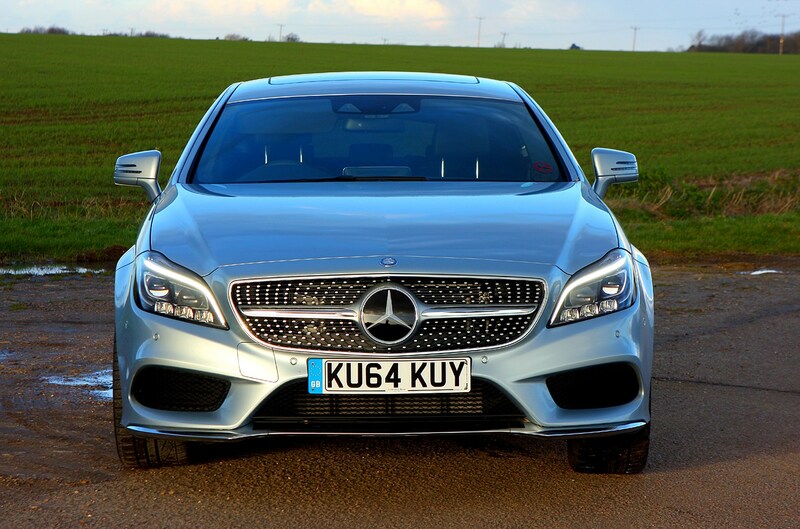 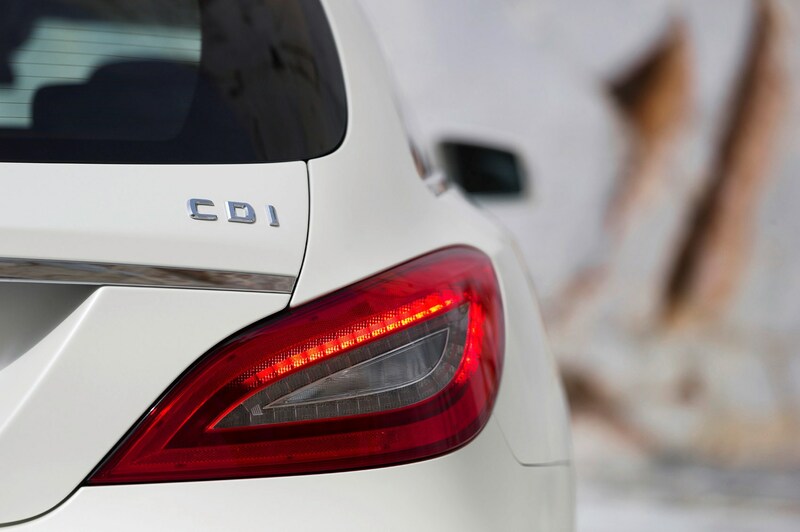 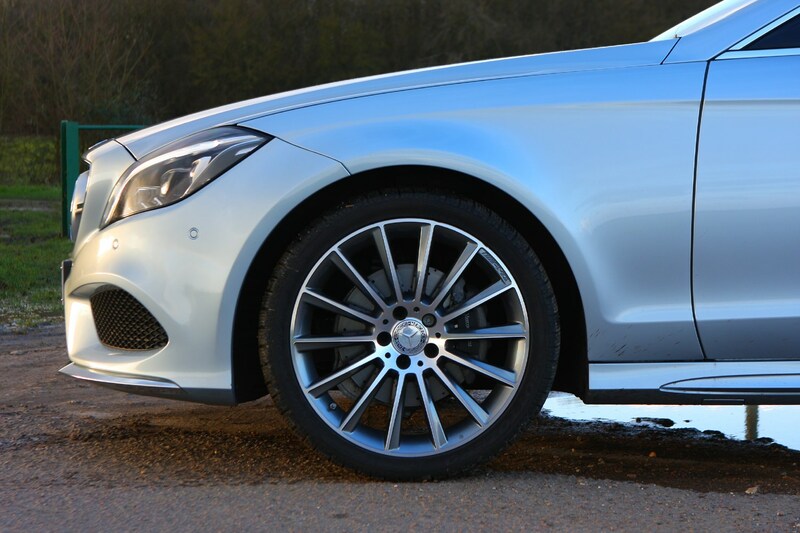 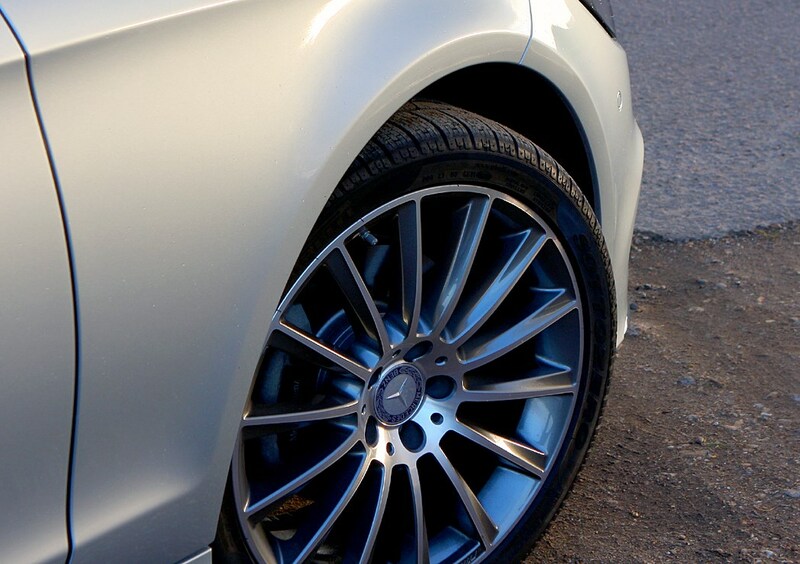 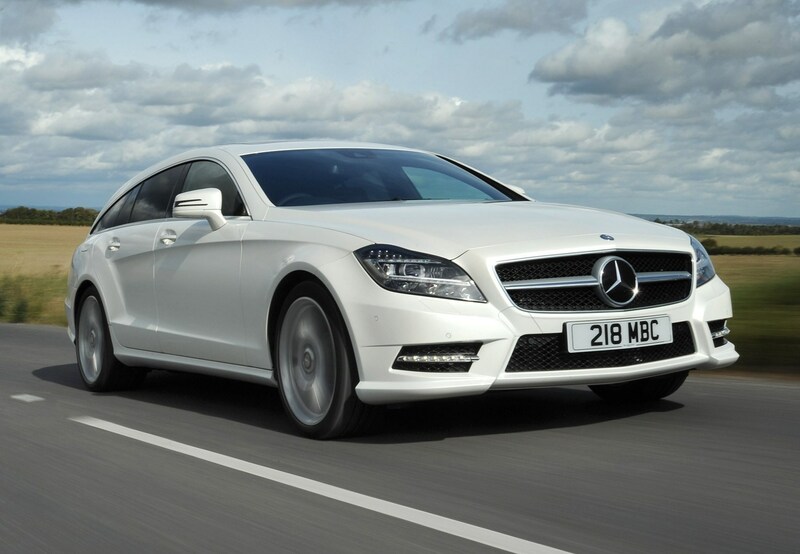 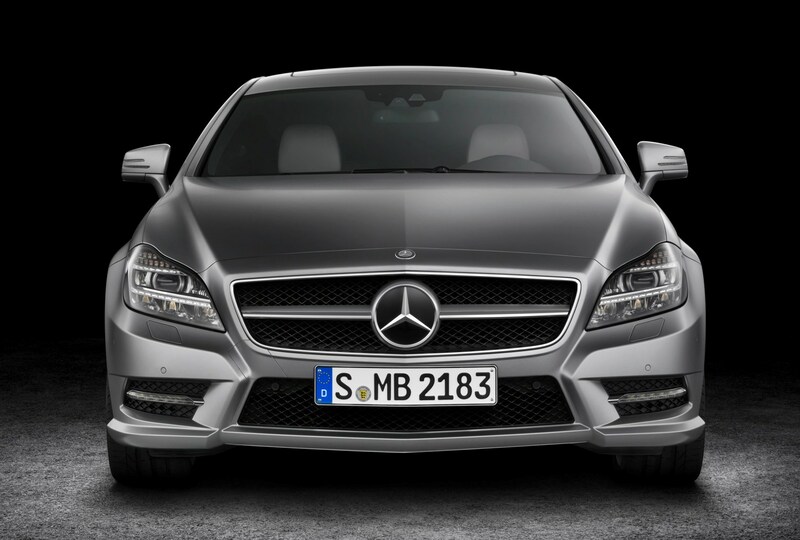 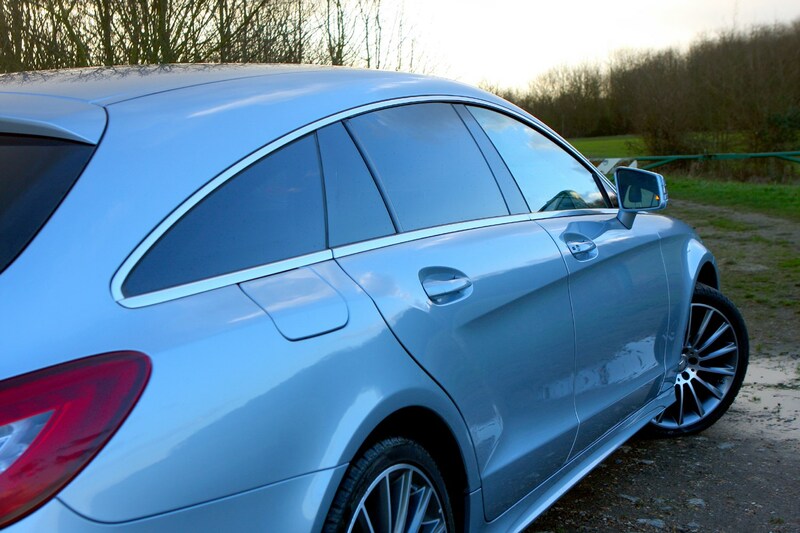 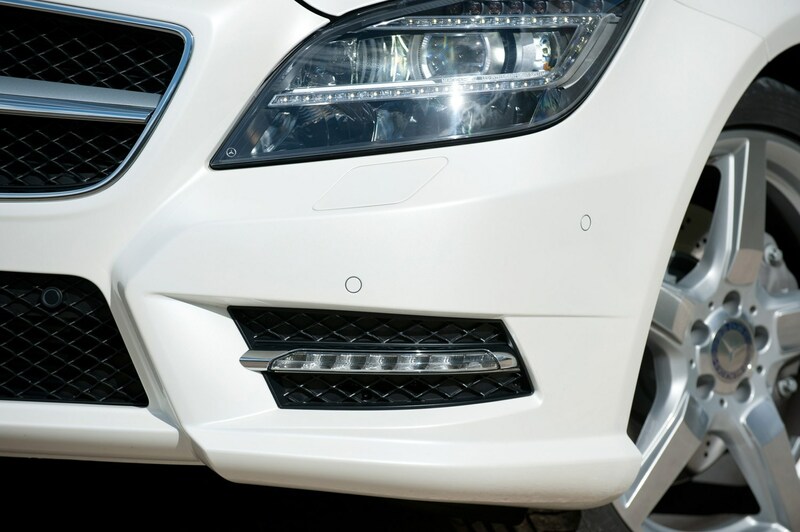 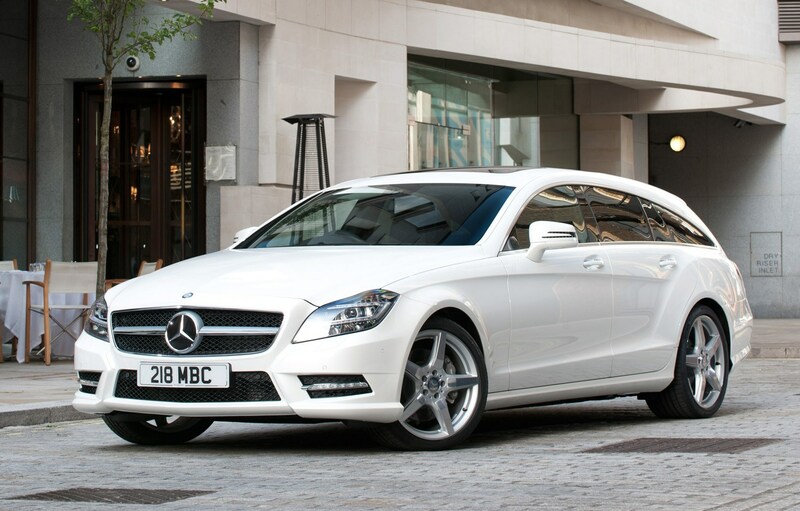 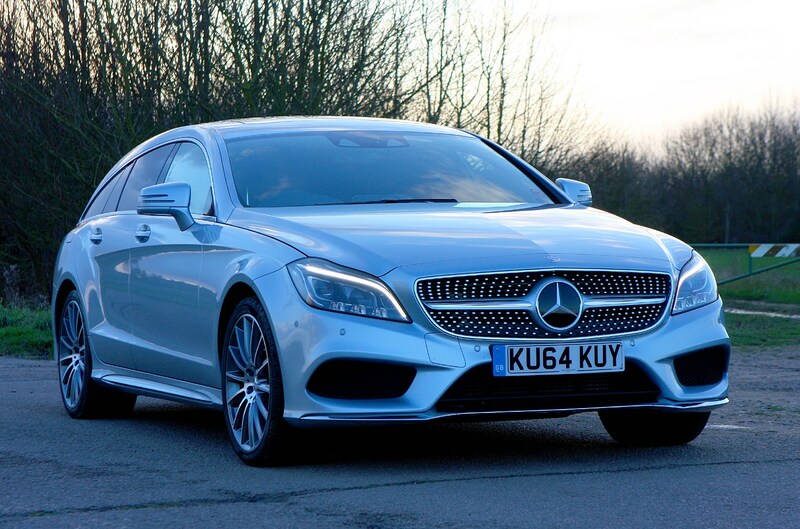 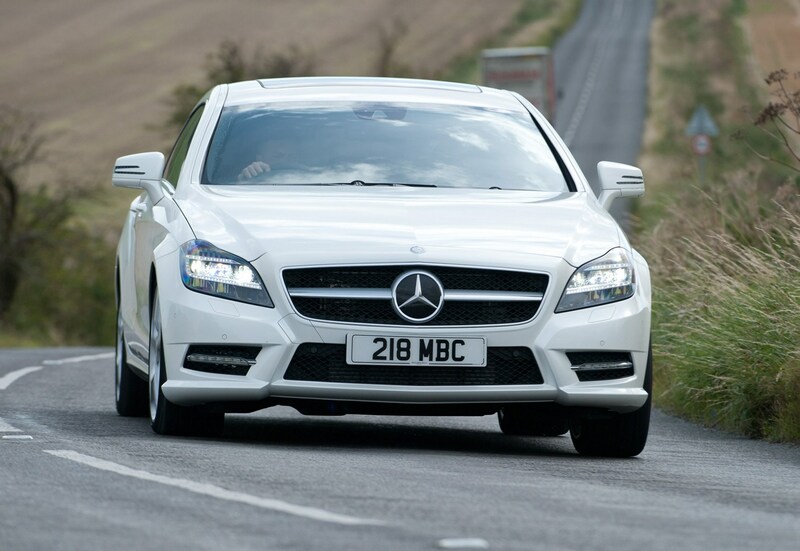 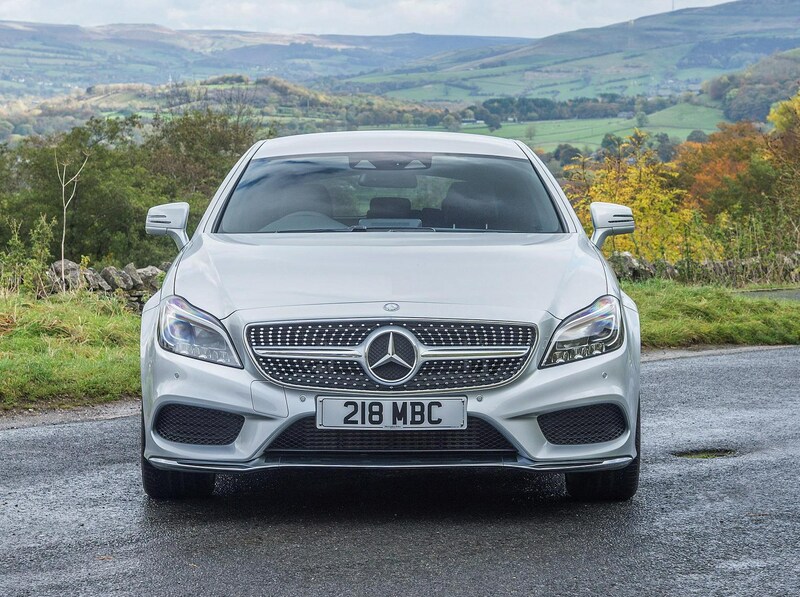 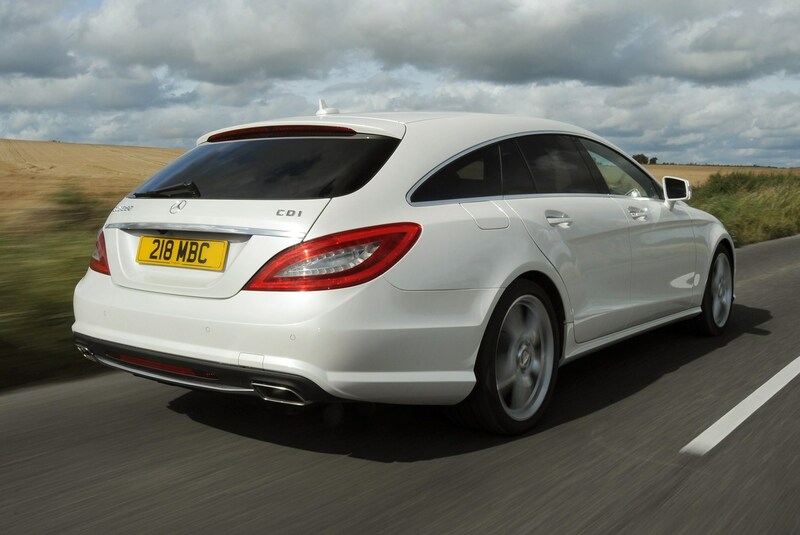 We think the 350 CDI is the best of the lot, offering a perfect blend of performance and refinement. 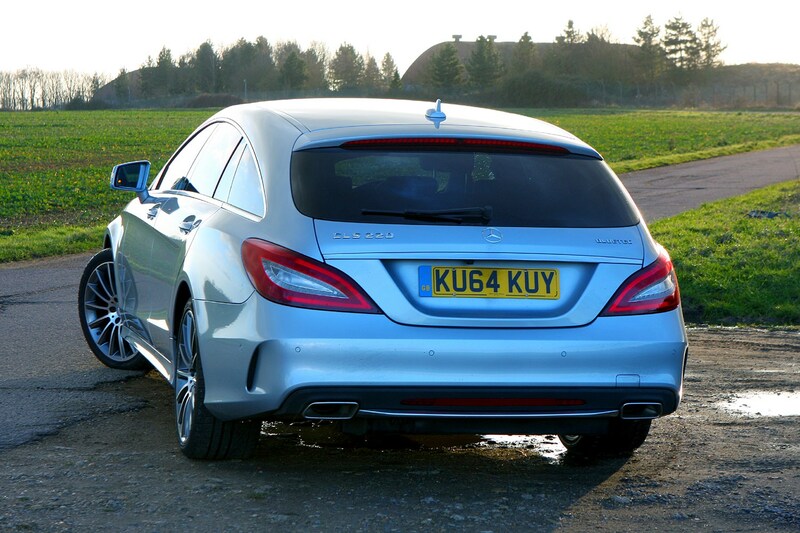 The 250 CDI is decent but it can sometimes feel like its labouring and can get a little noisy when revved hard. 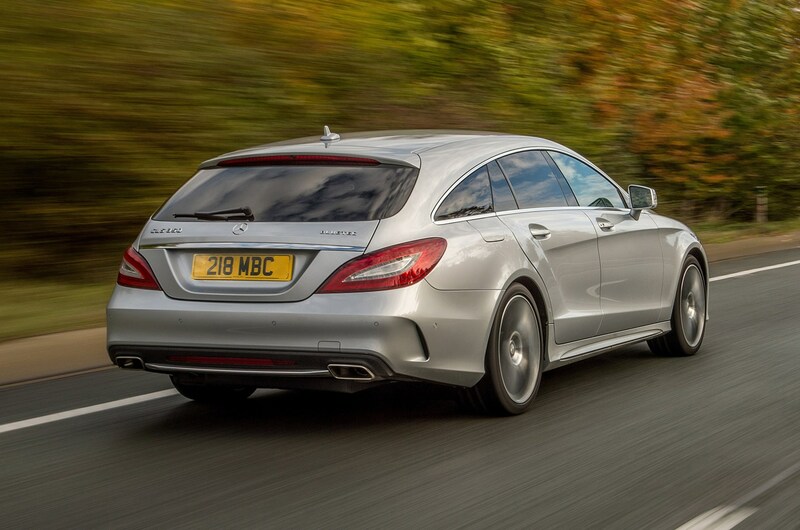 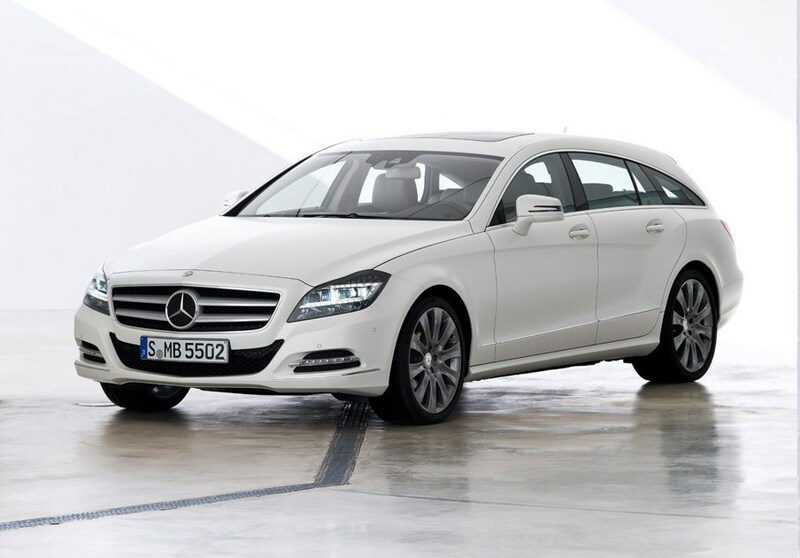 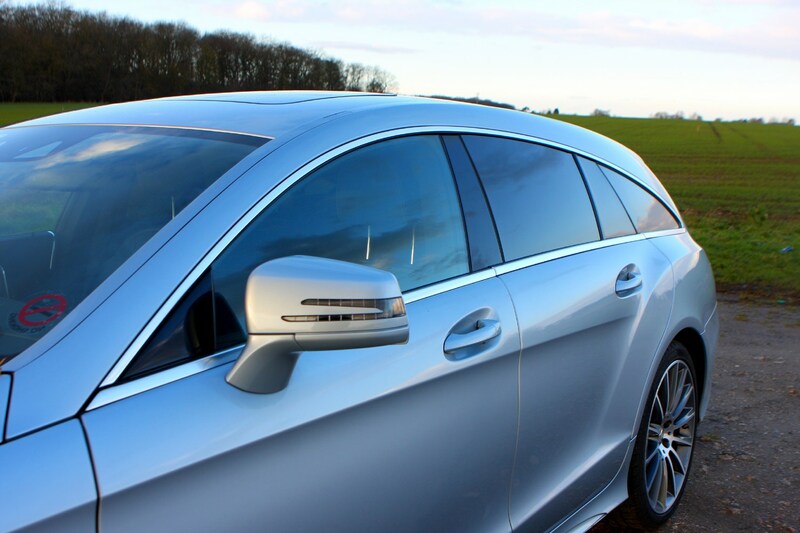 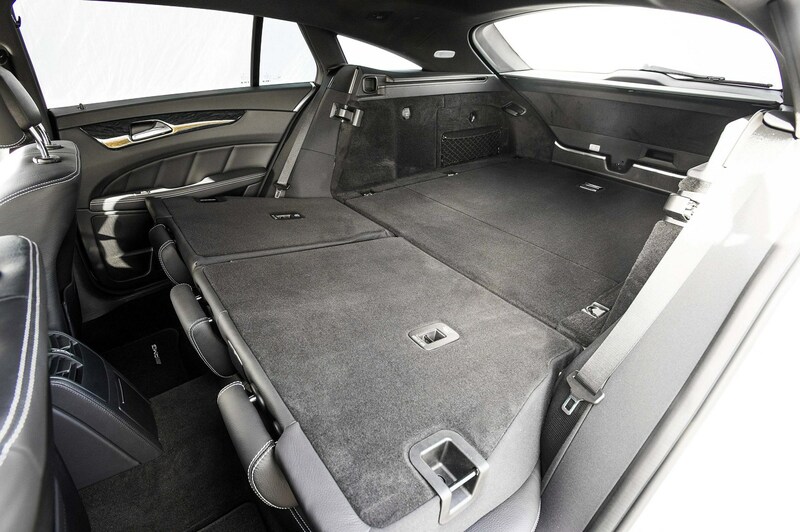 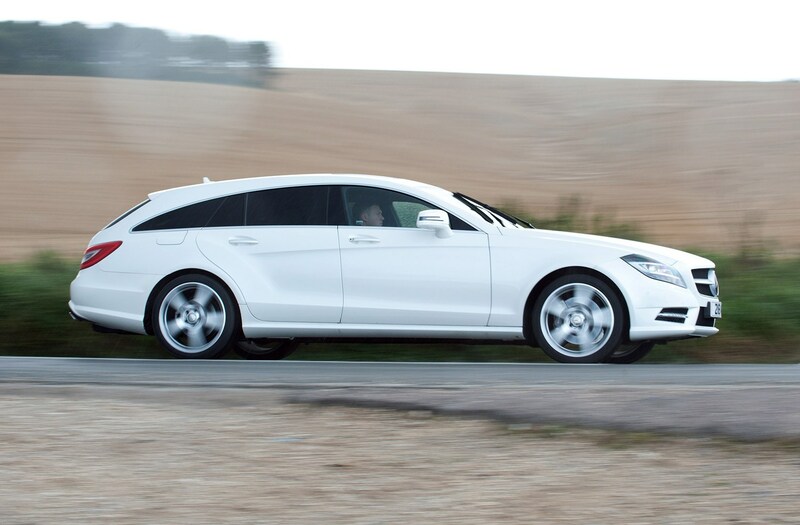 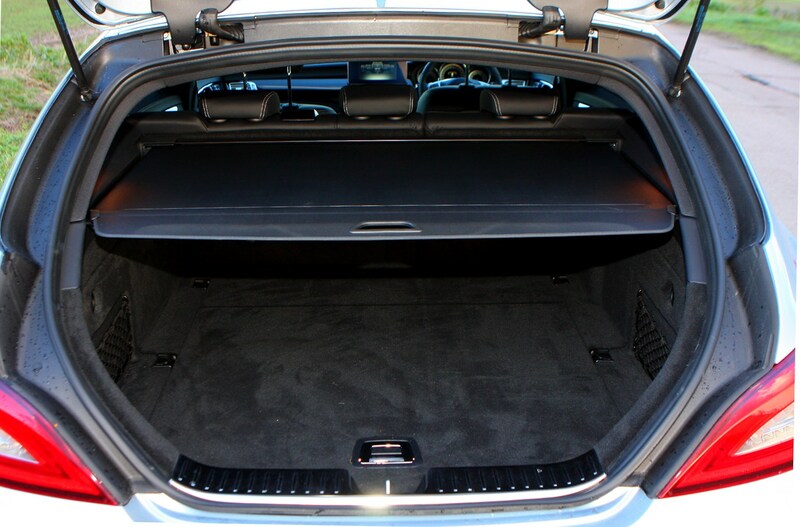 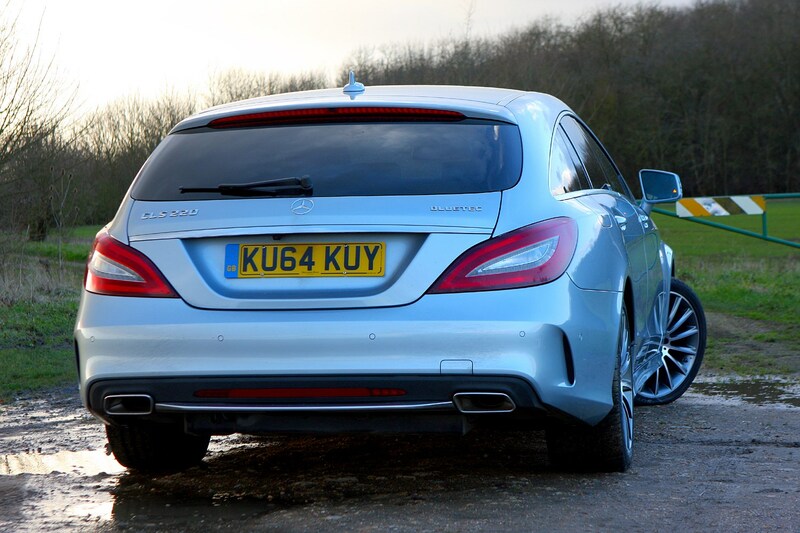 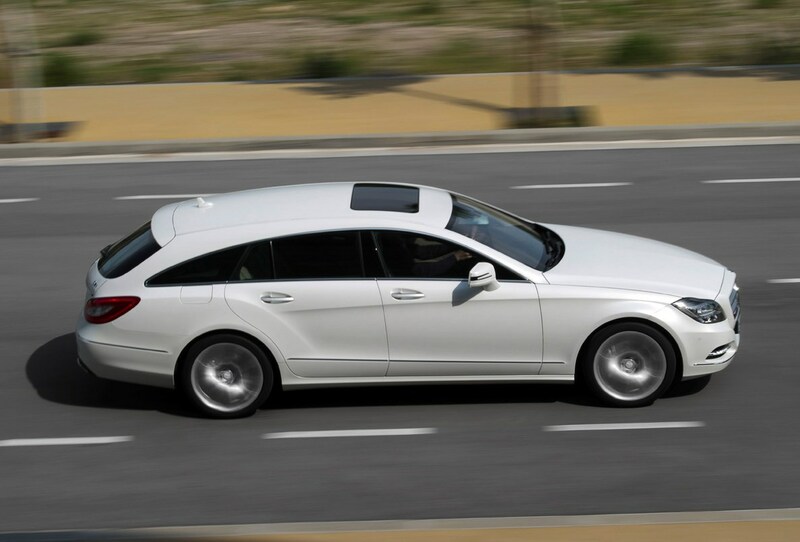 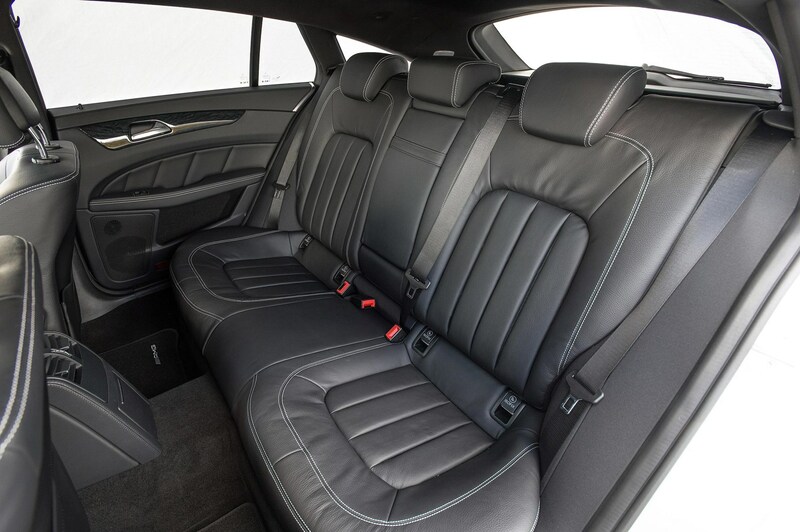 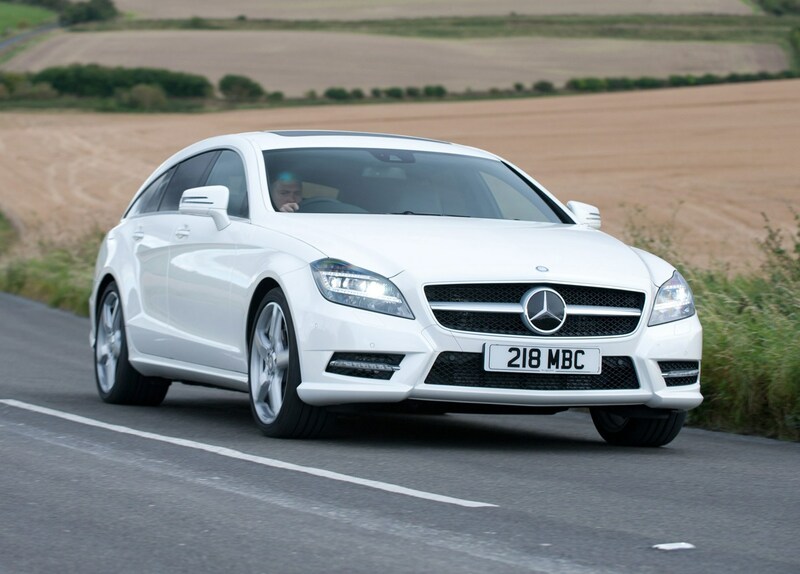 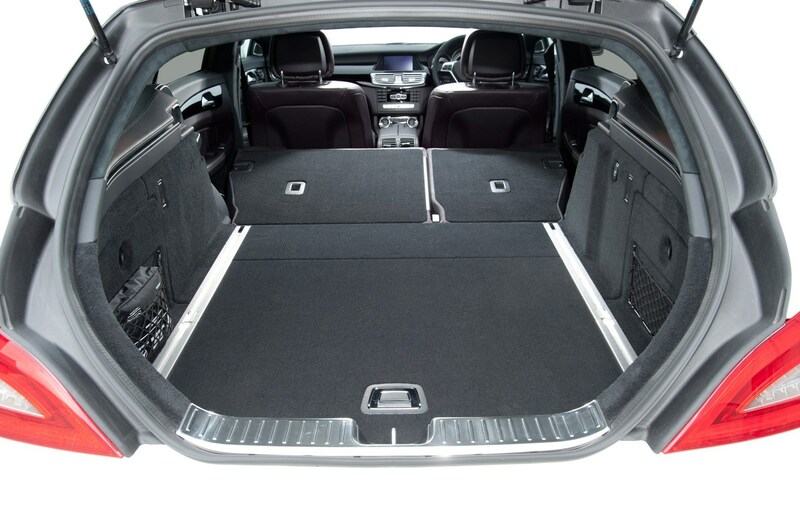 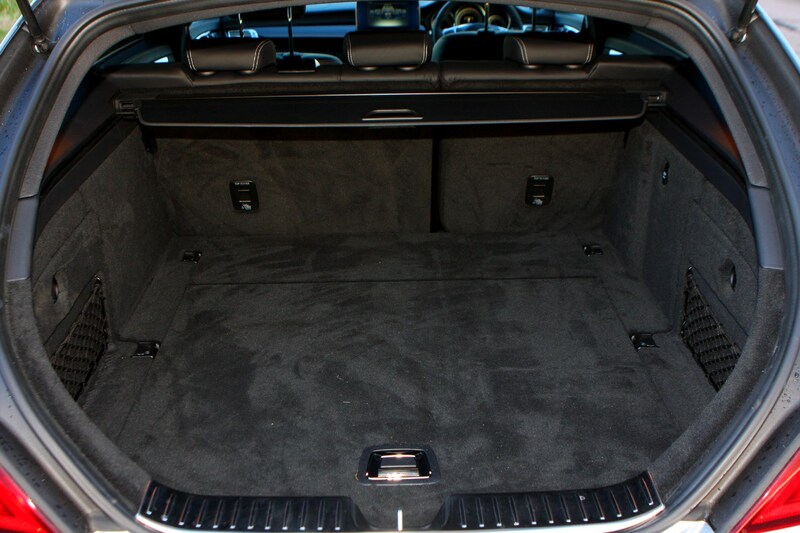 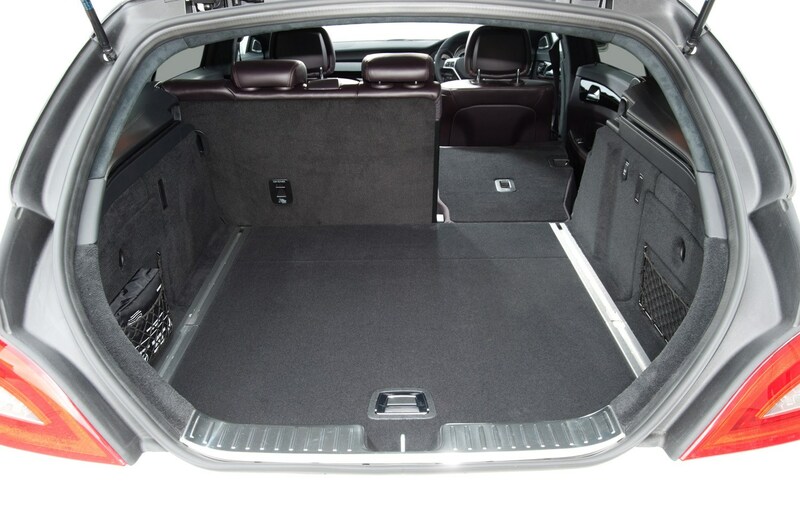 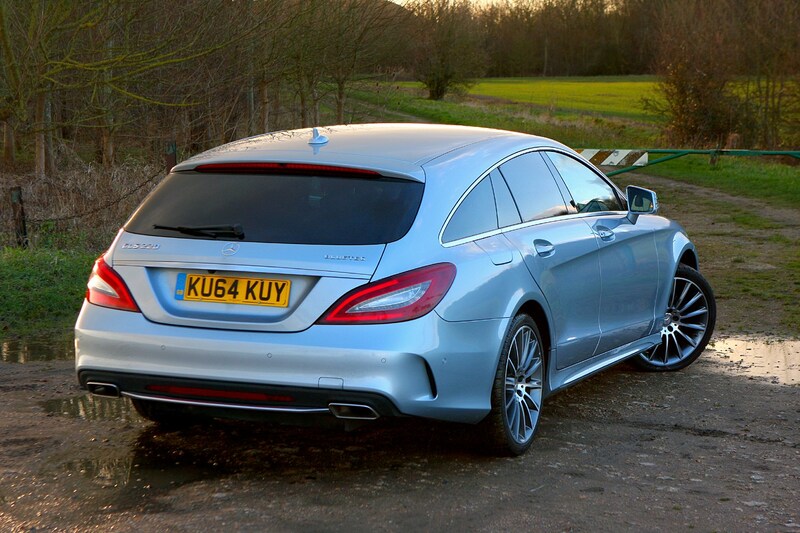 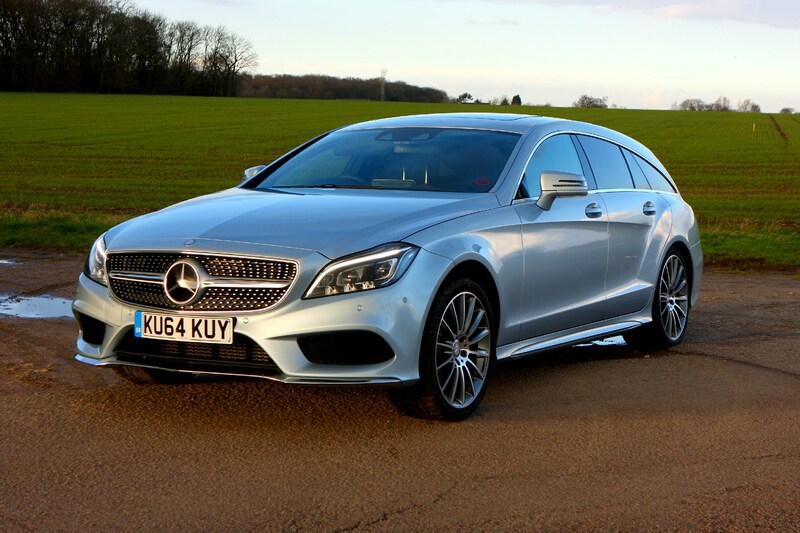 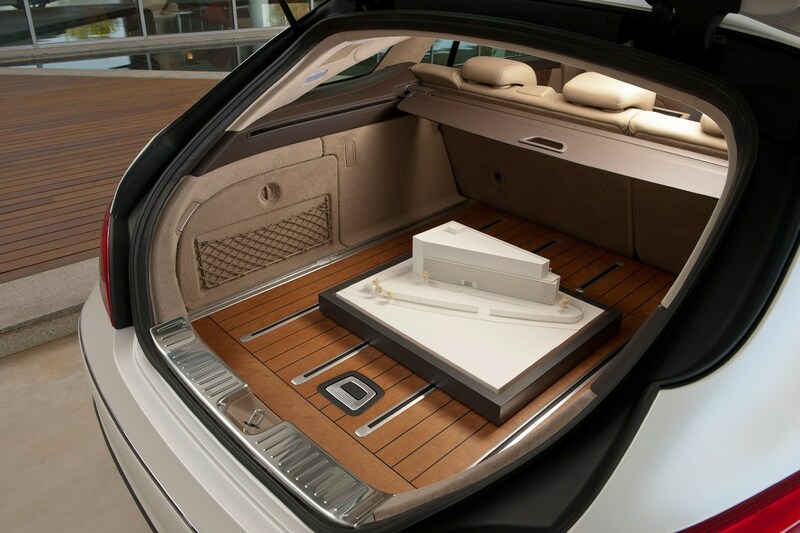 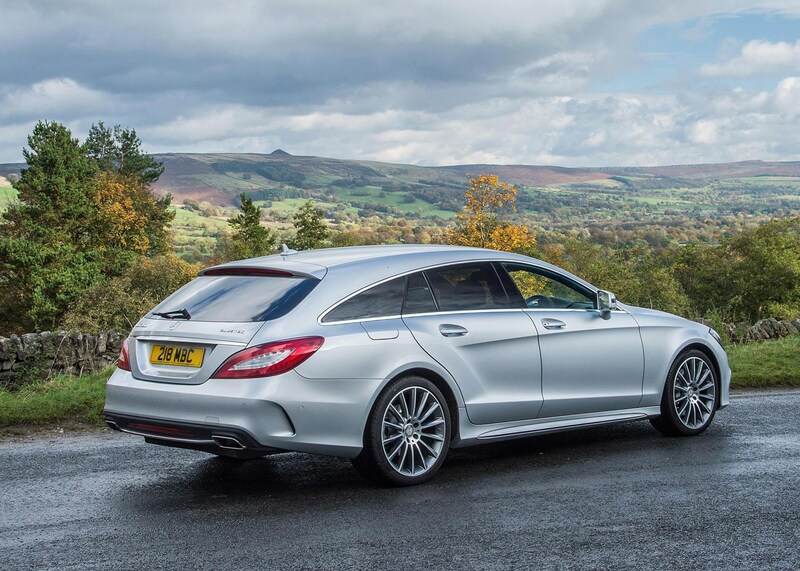 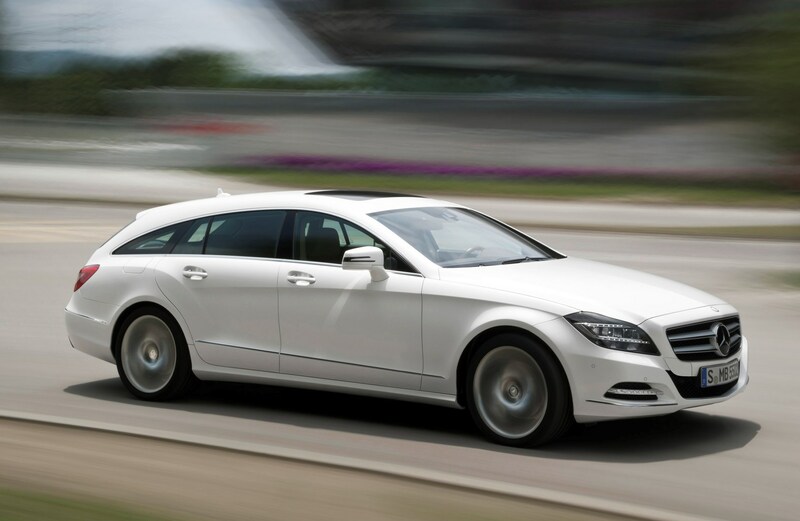 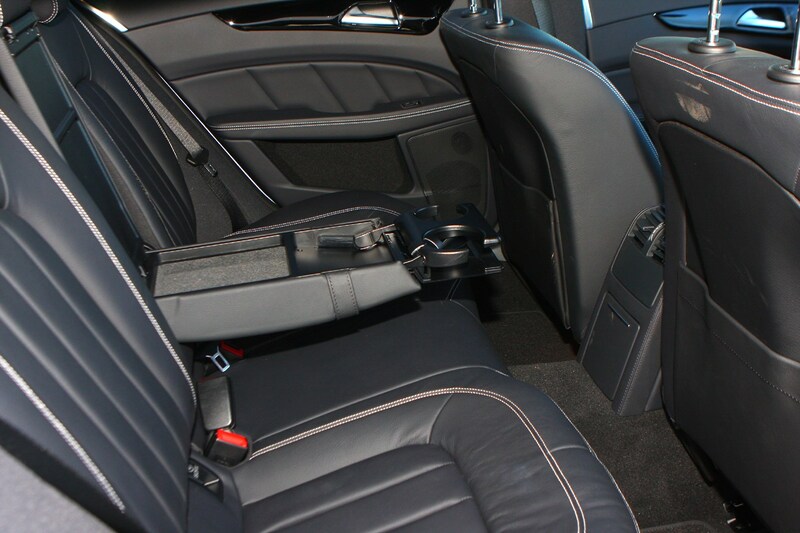 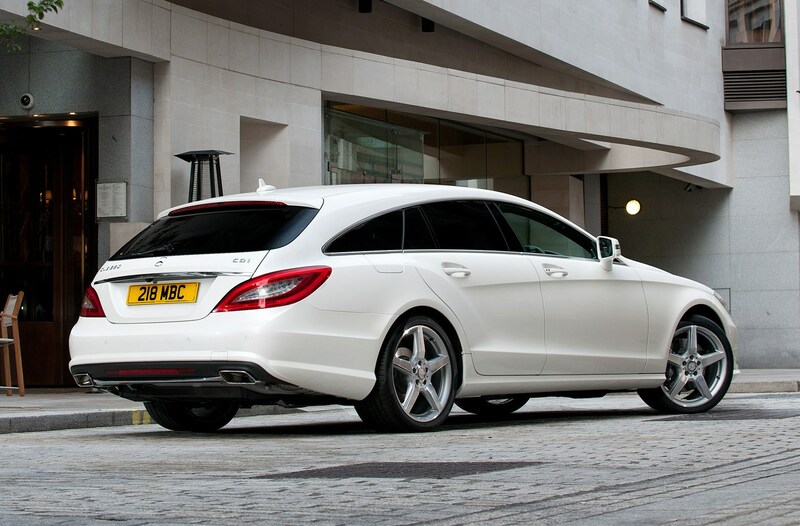 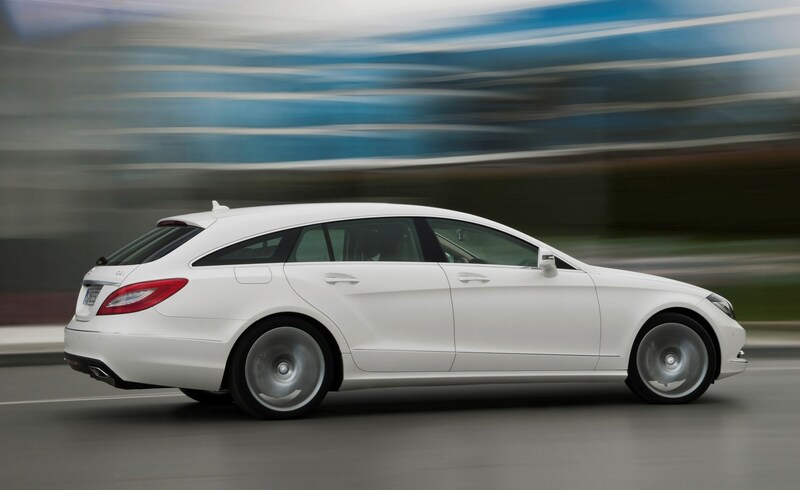 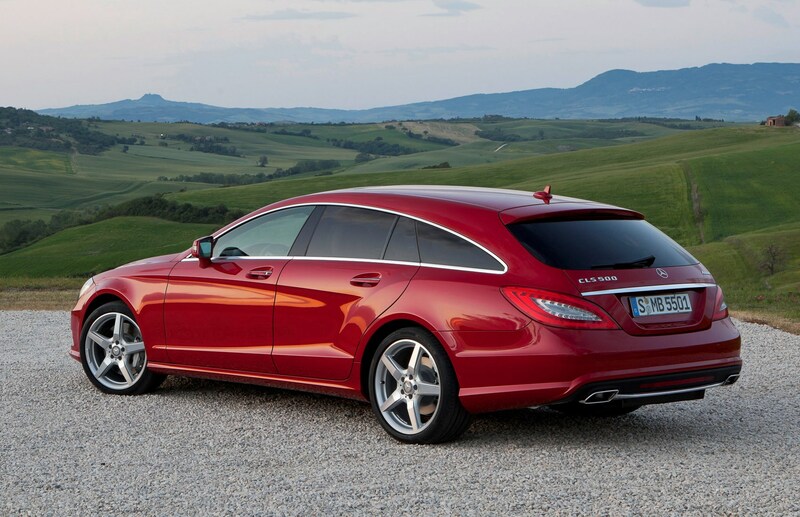 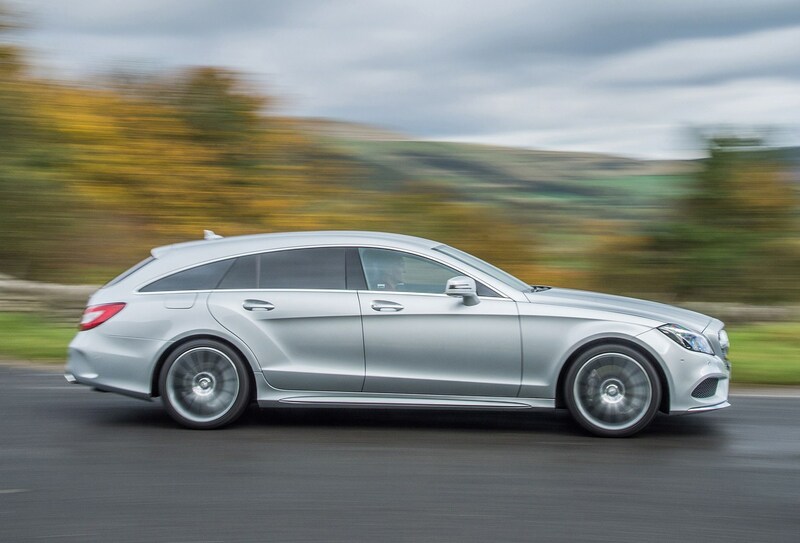 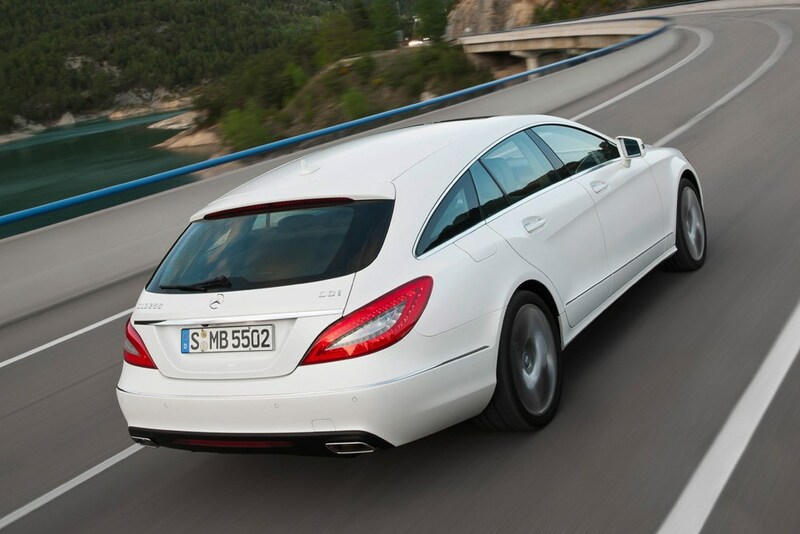 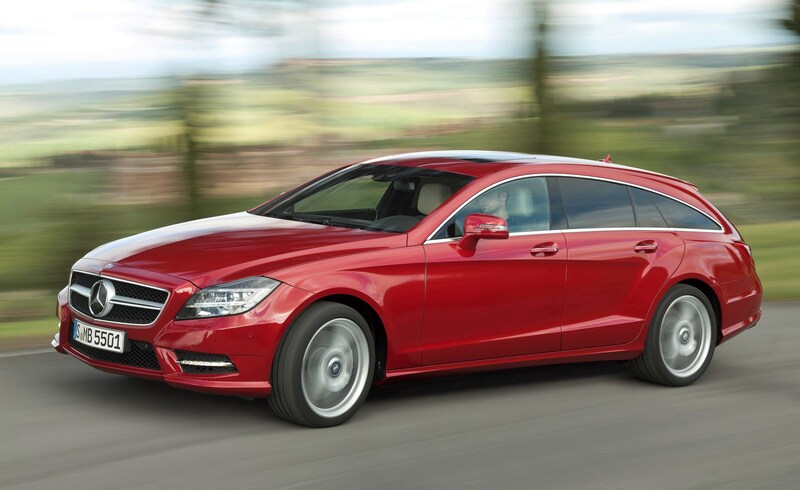 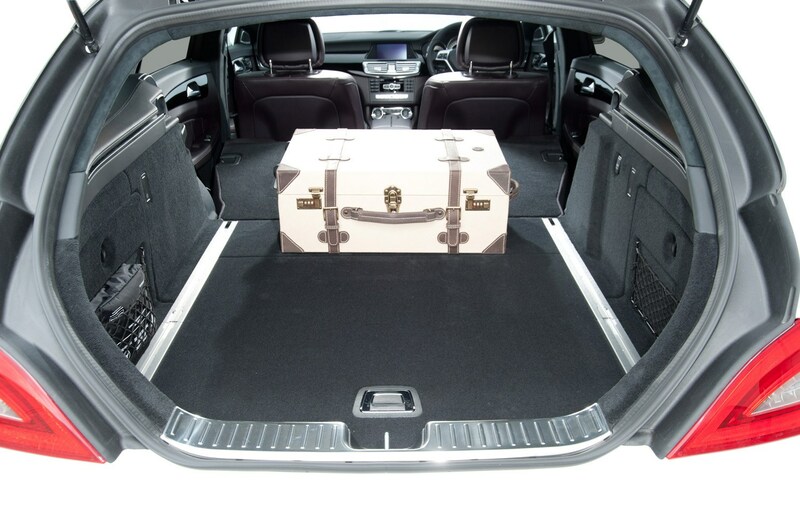 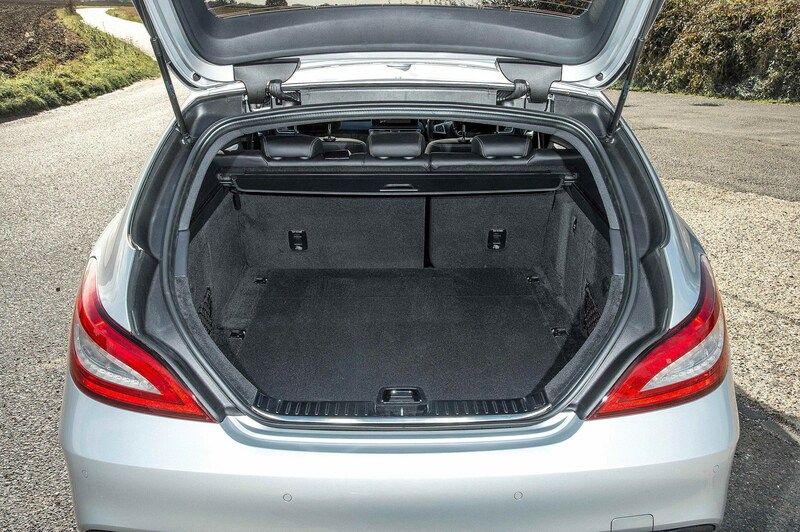 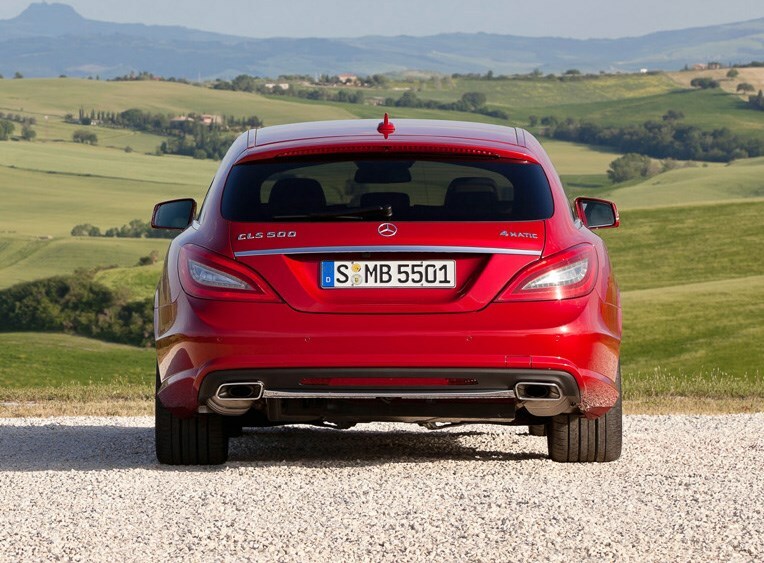 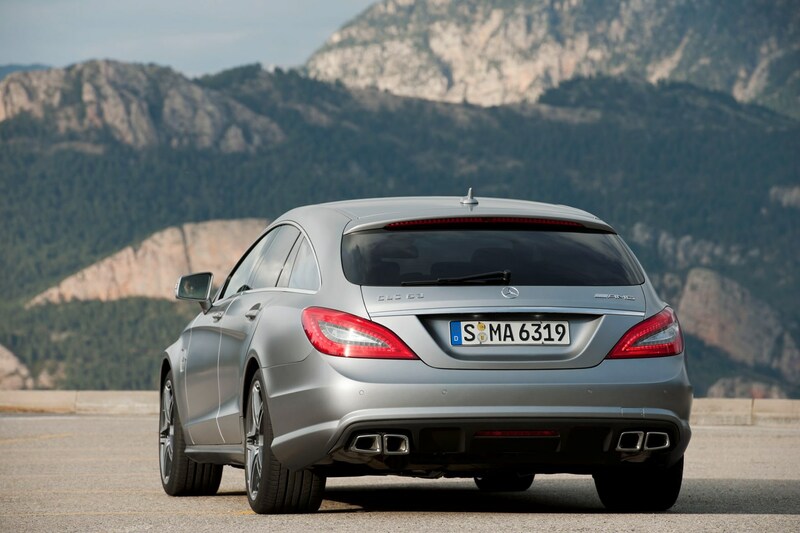 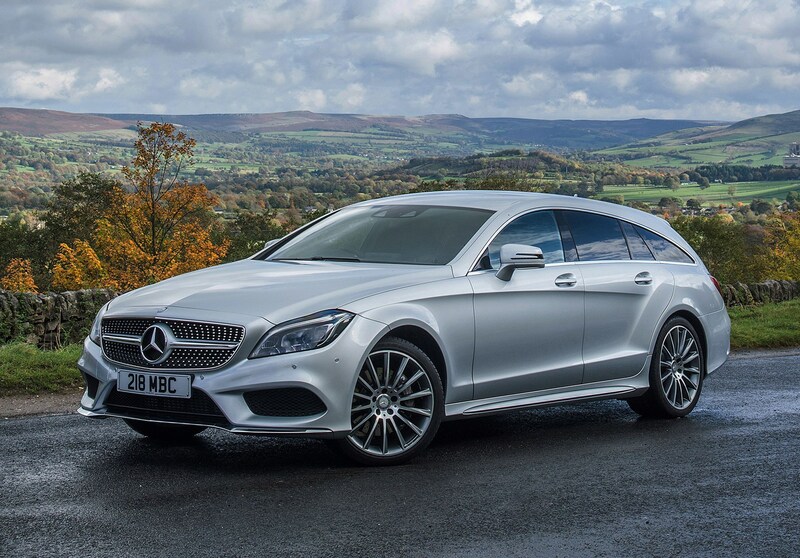 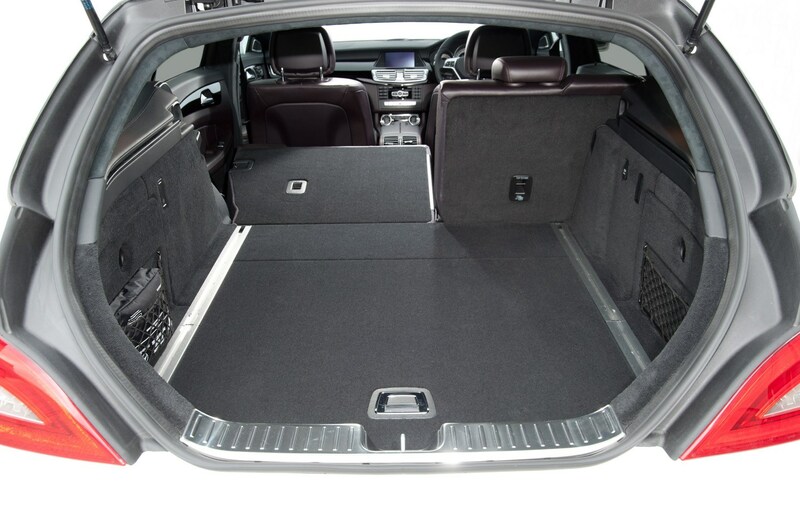 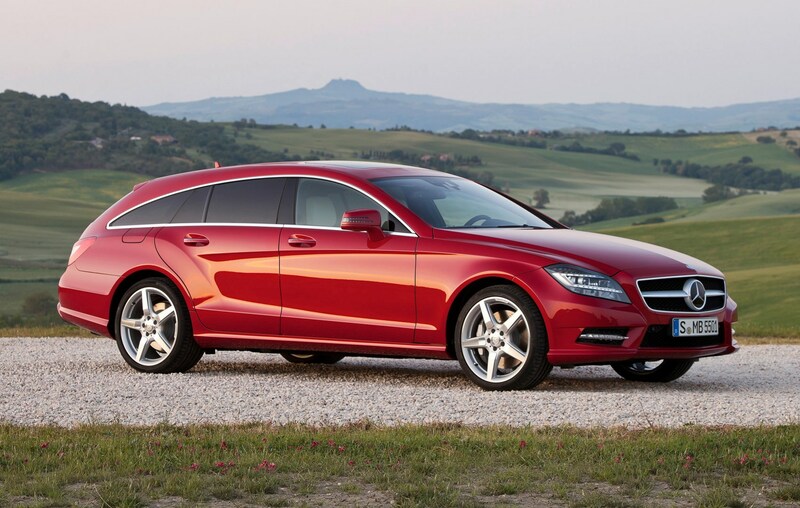 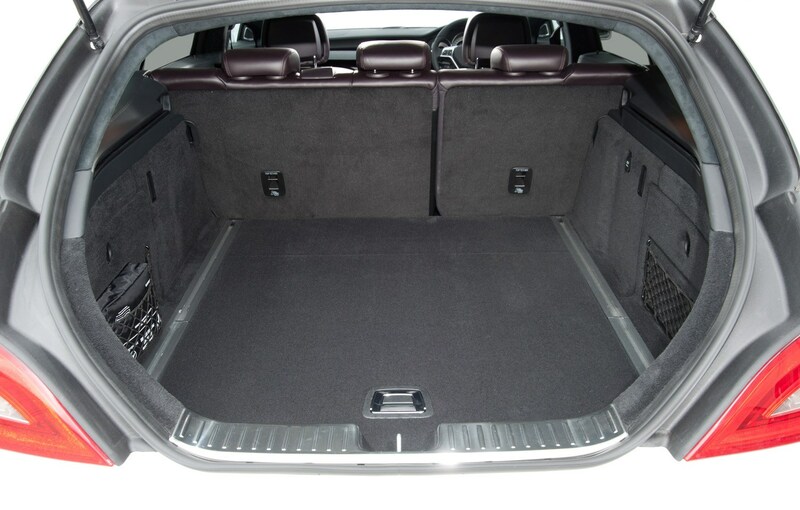 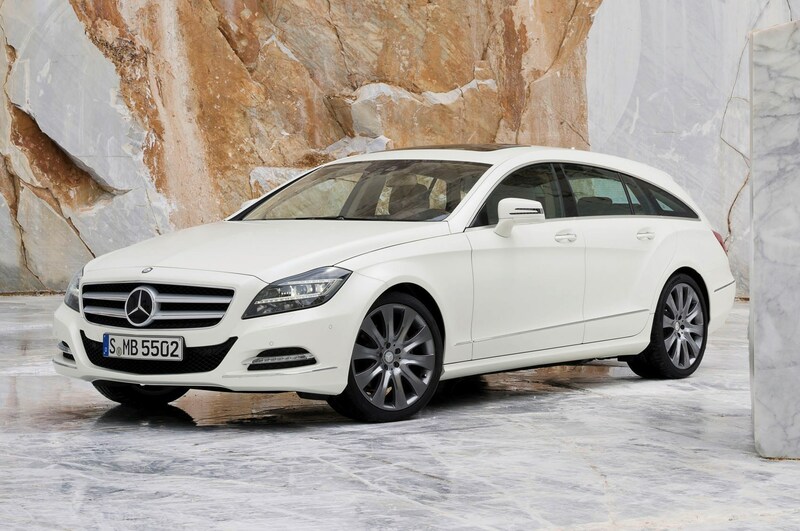 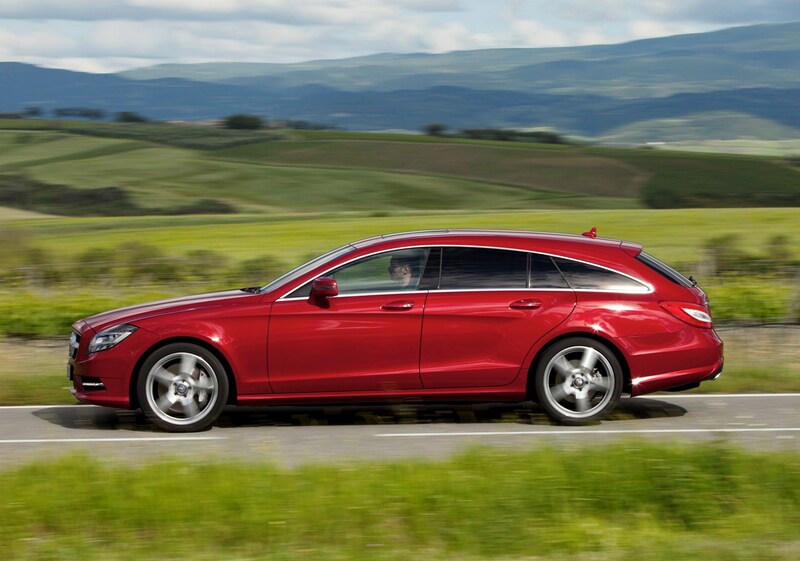 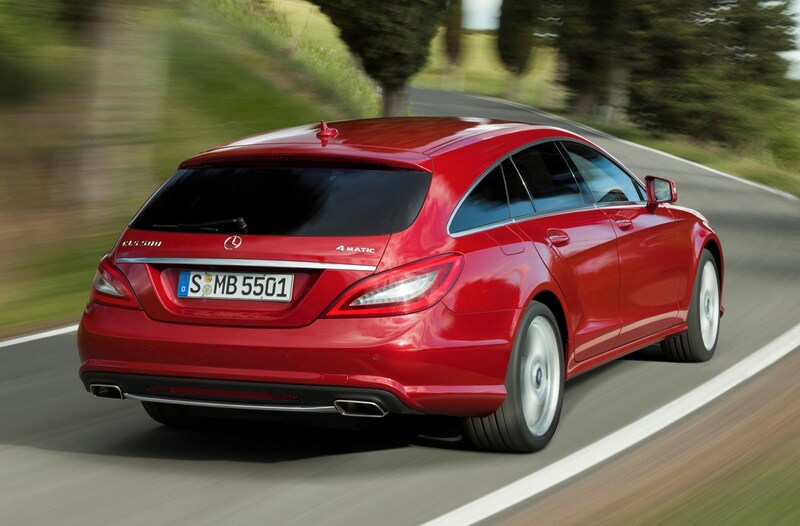 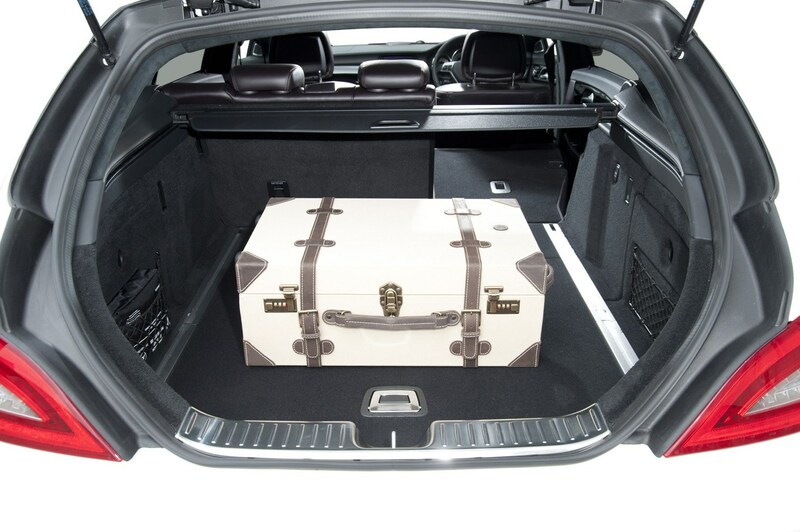 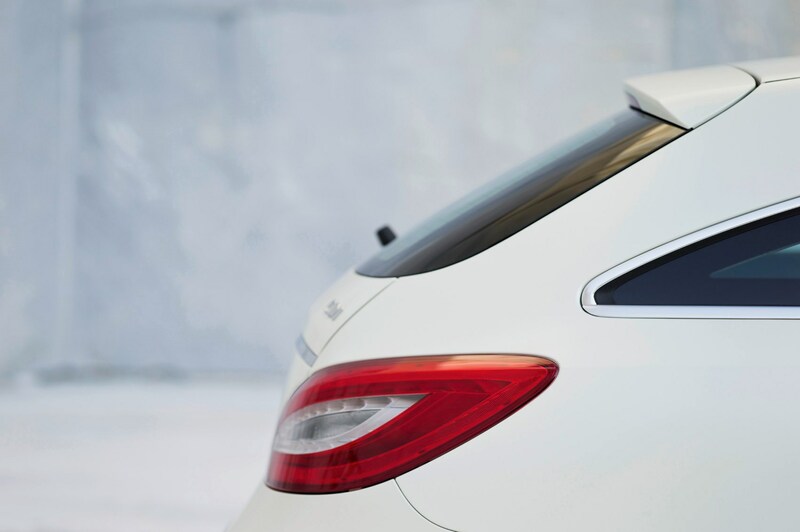 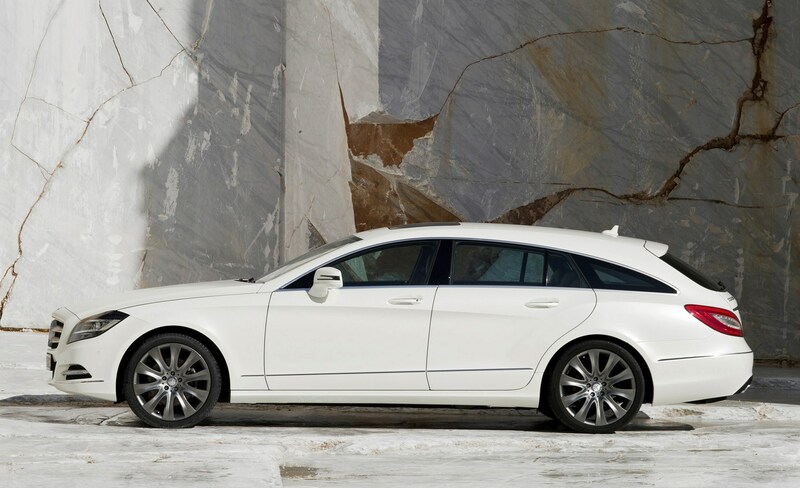 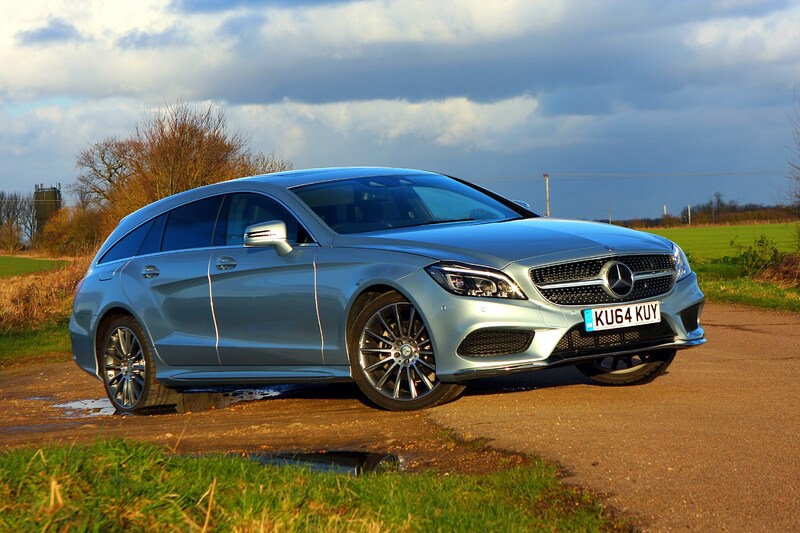 It’s difficult to find a flaw in the way the CLS Shooting Brake deals with corners. 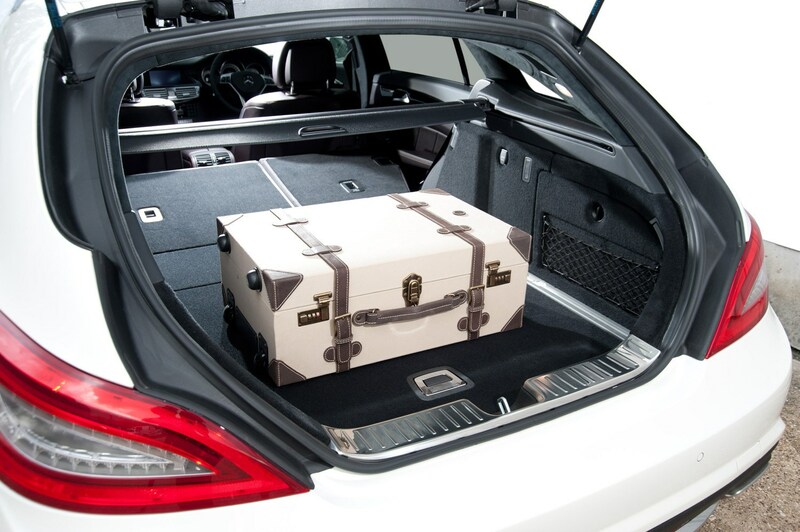 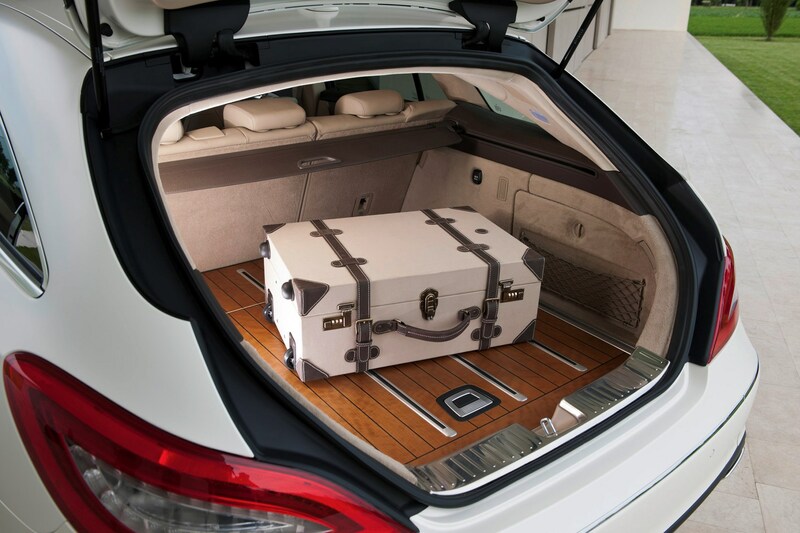 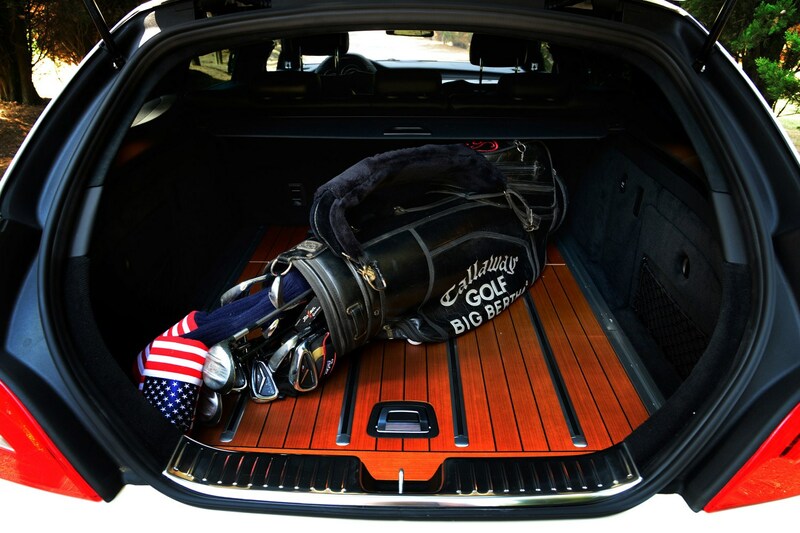 It’s got bags of grip, and it hardly leans at all, which is surprising when you consider its sheer size. 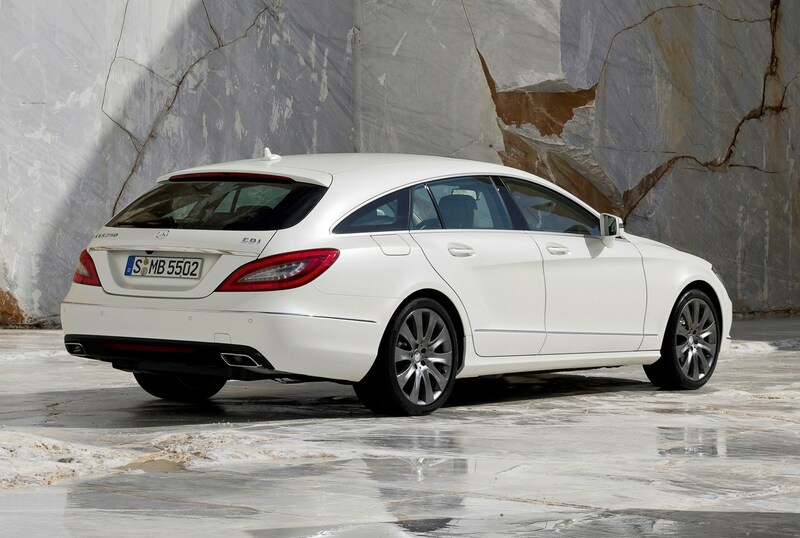 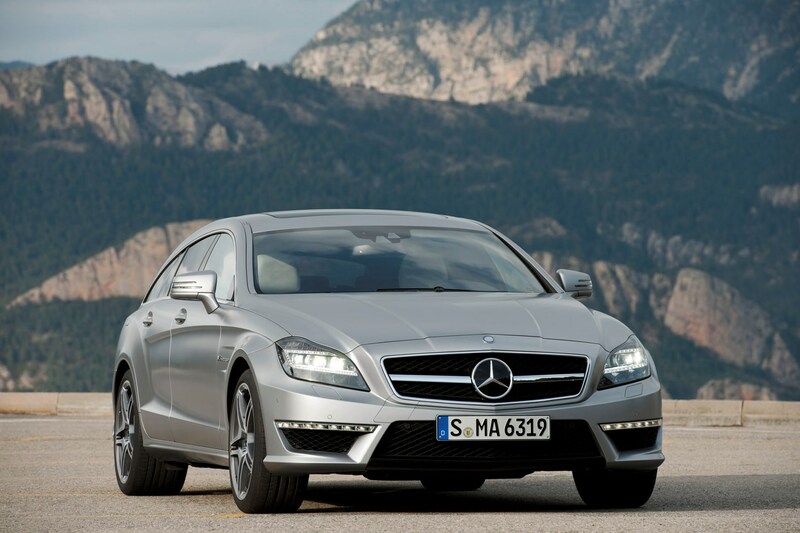 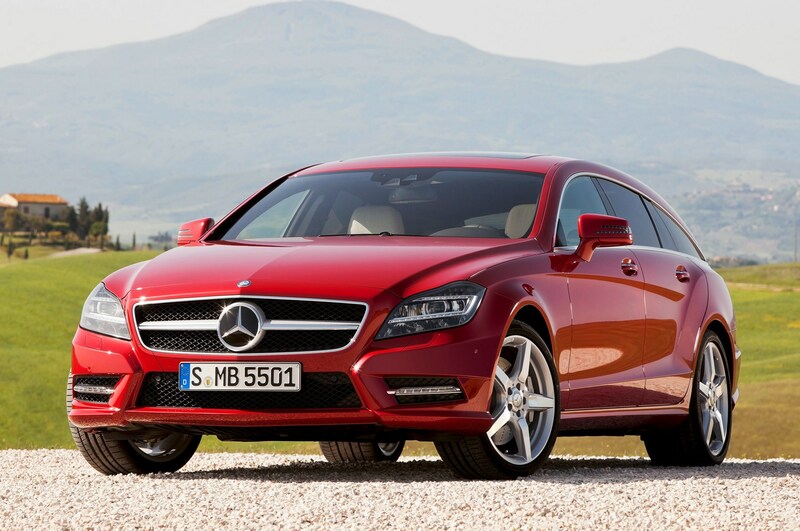 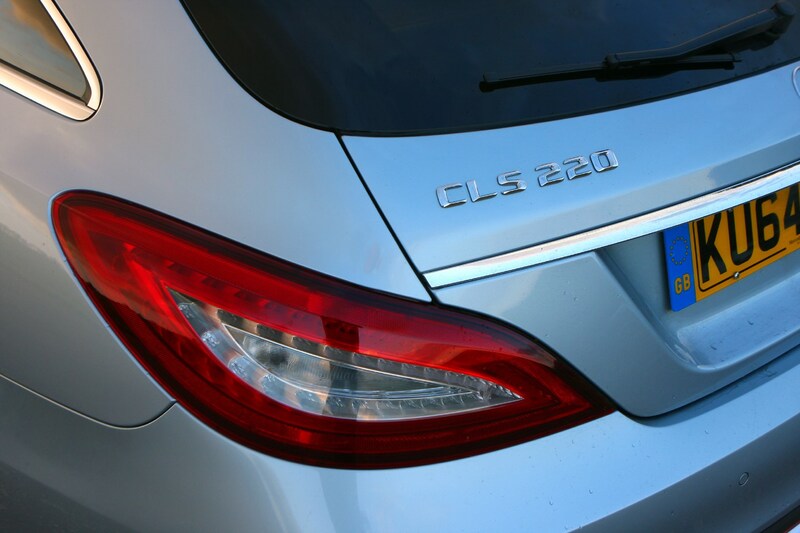 Although it’s only a minor complaint, the CLS isn’t quite as responsive on turn-in as we would like. 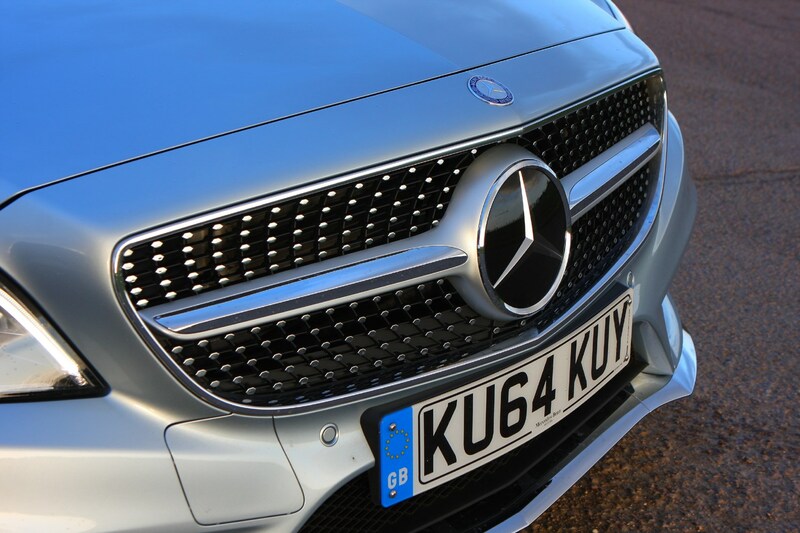 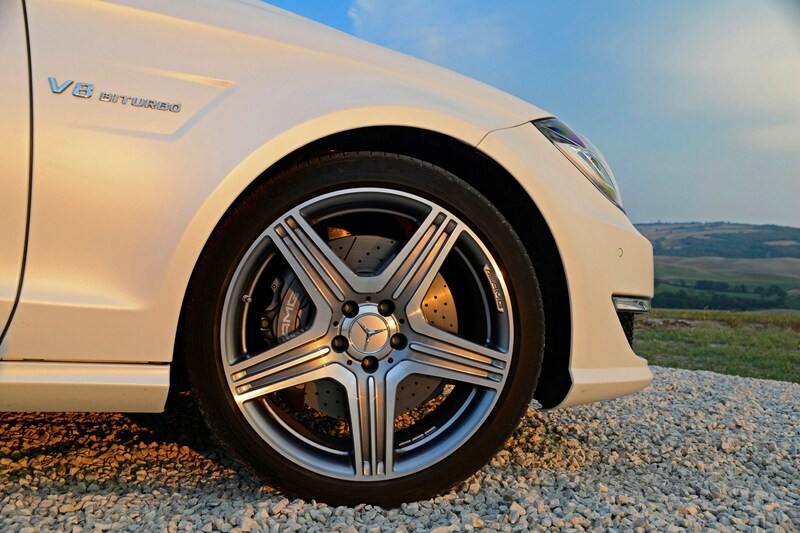 That said, the steering is well weighted with a pleasing feel that lets you know what’s going on under the wheels: the inclusion of Mercedes’ standard-fit electro-mechanical Direct Steer system has not compromised things. 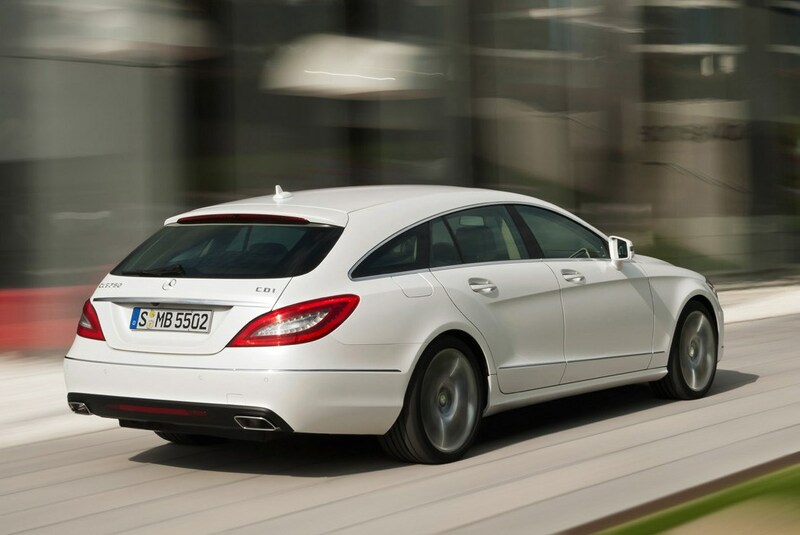 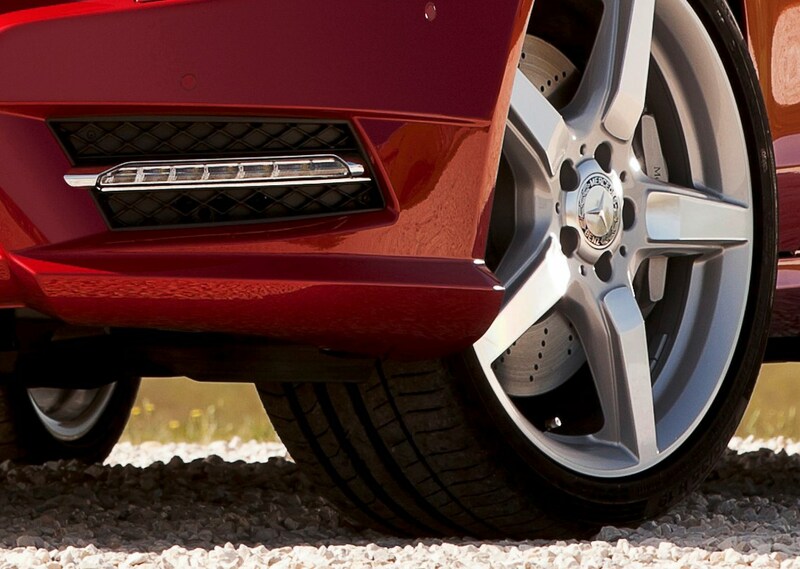 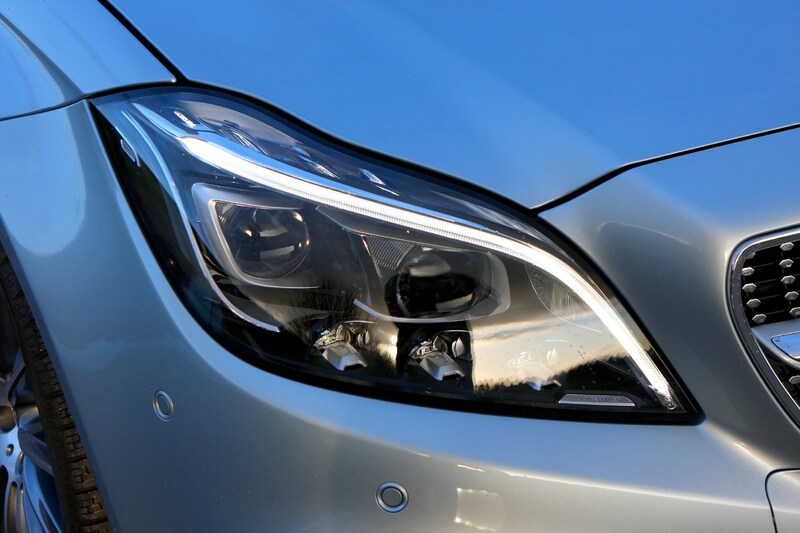 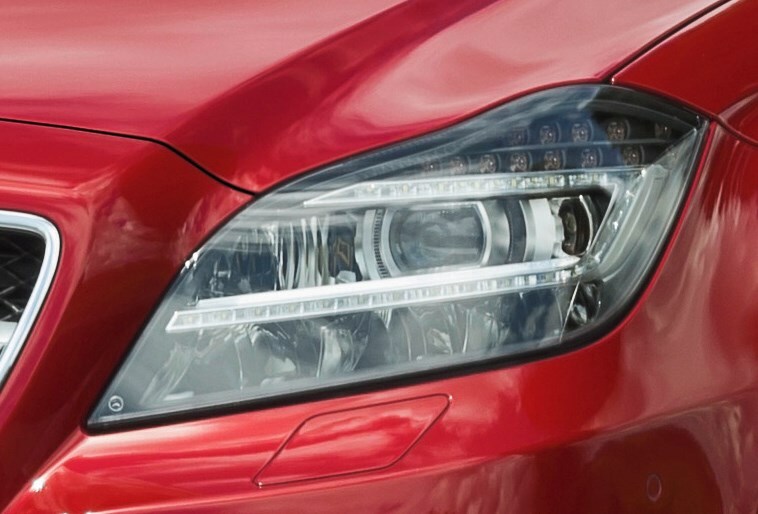 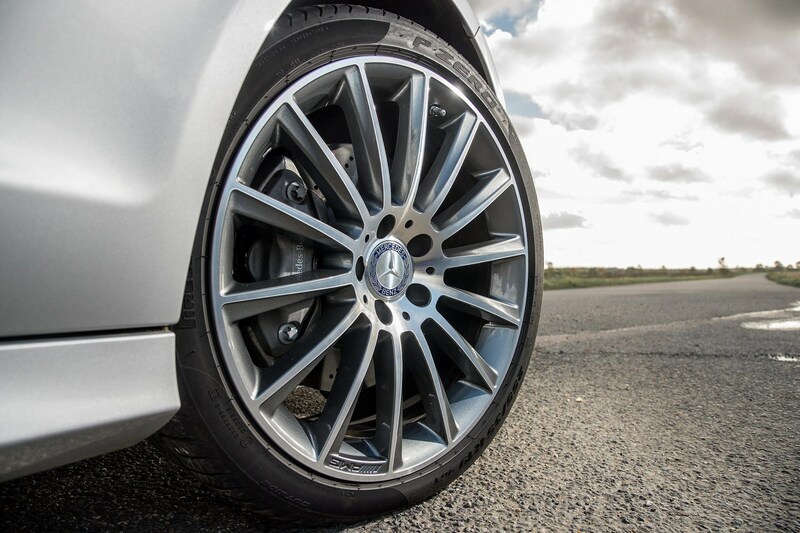 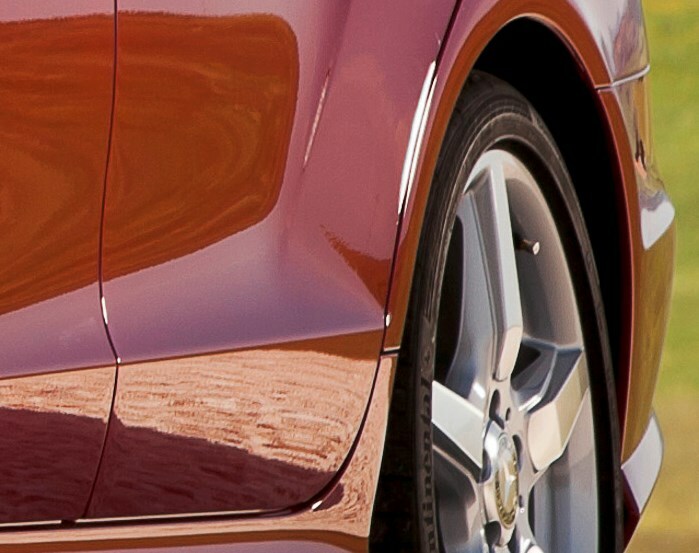 The brakes are powerful and the seven-speed automatic is swift and unflustered. 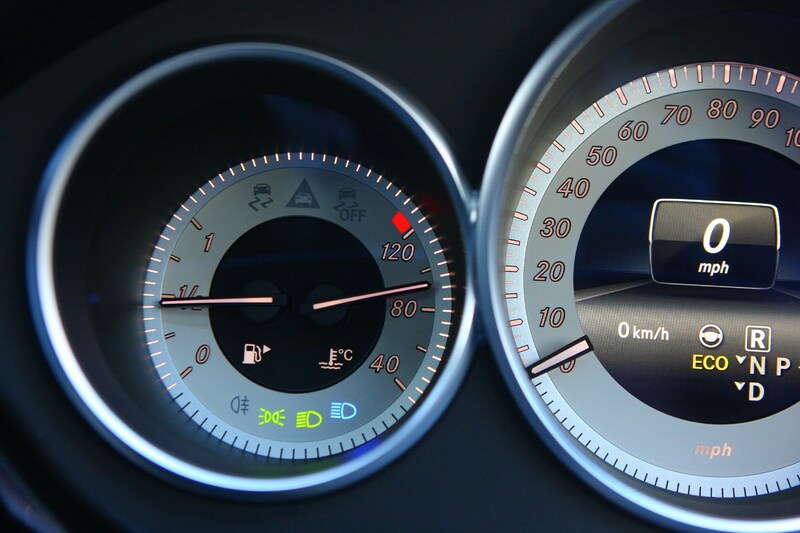 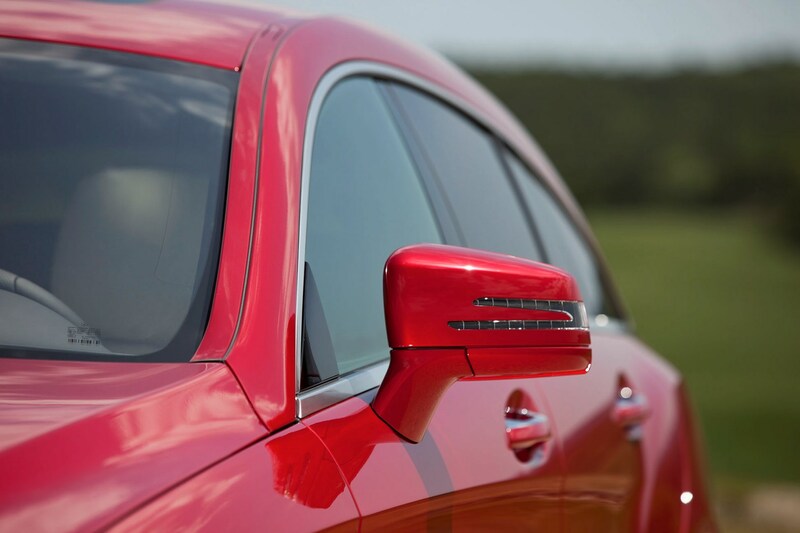 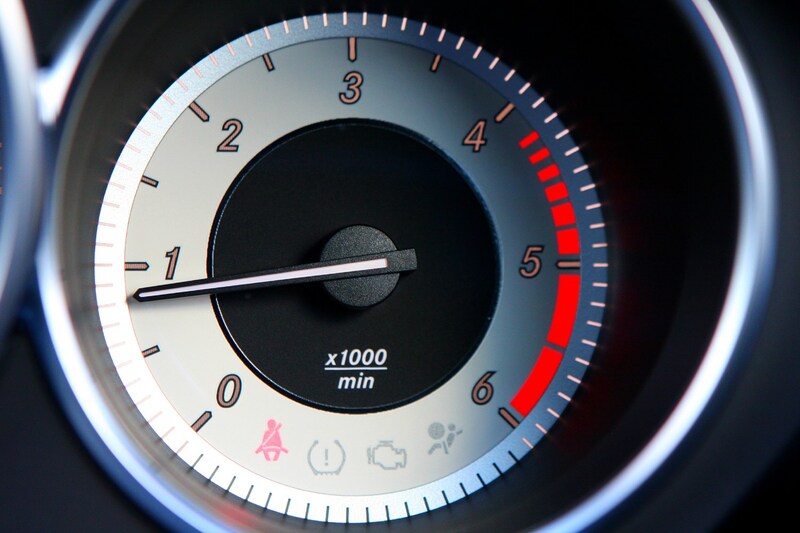 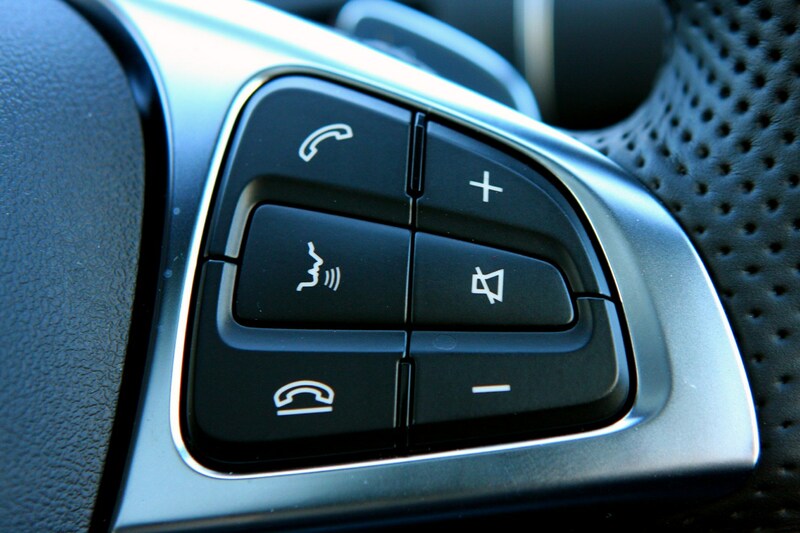 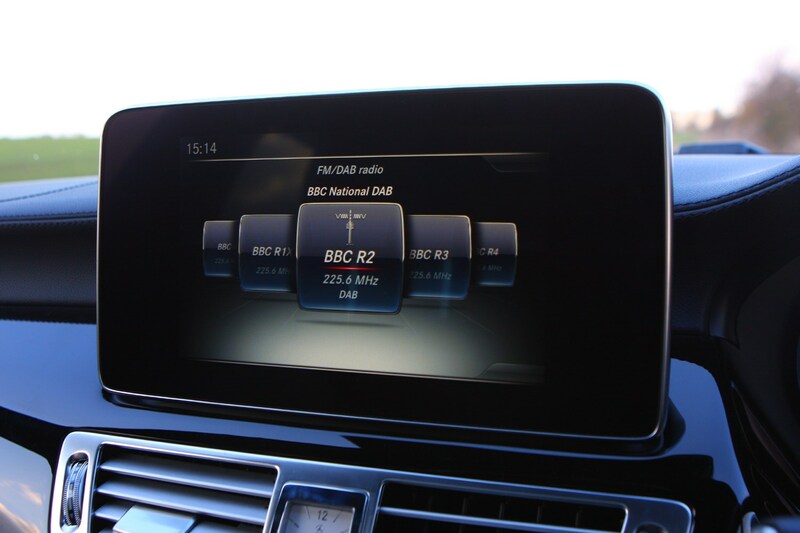 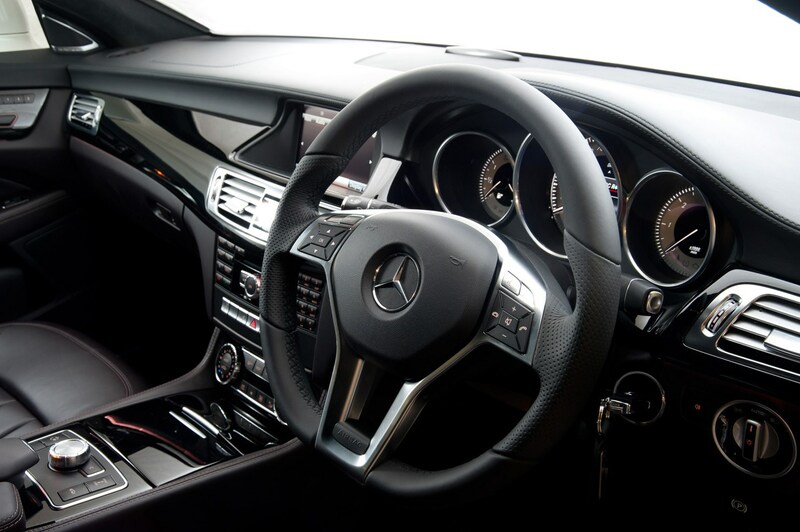 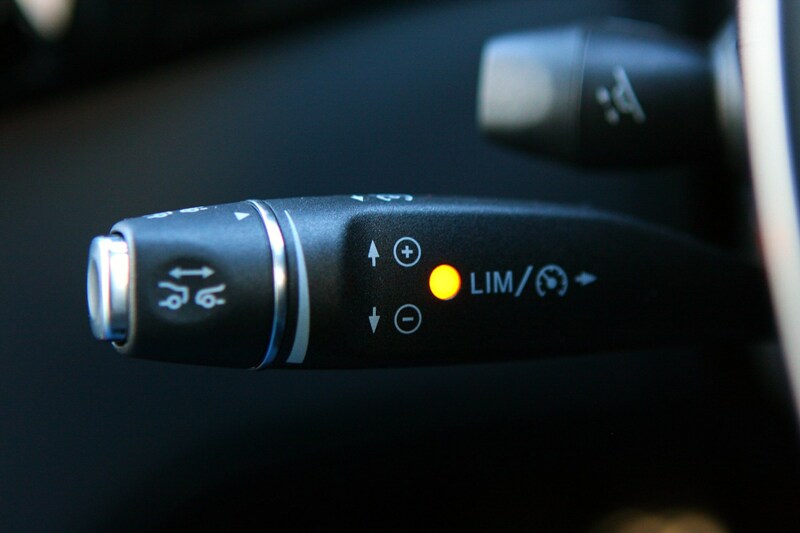 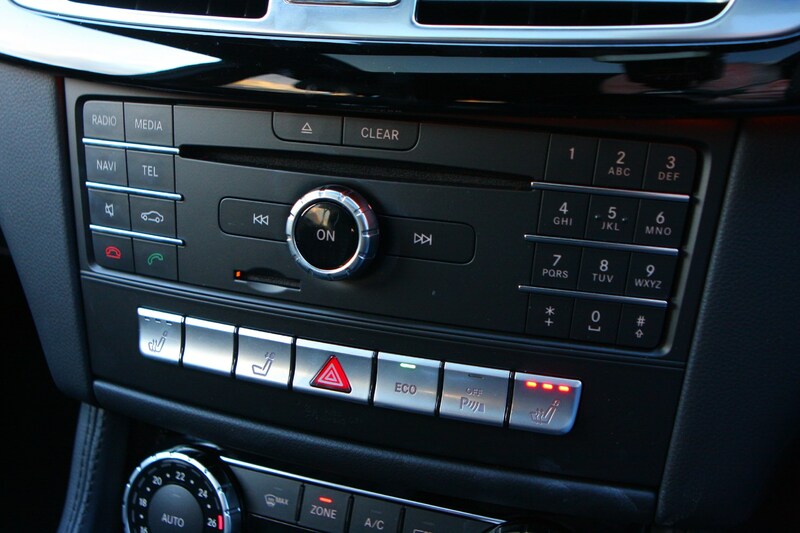 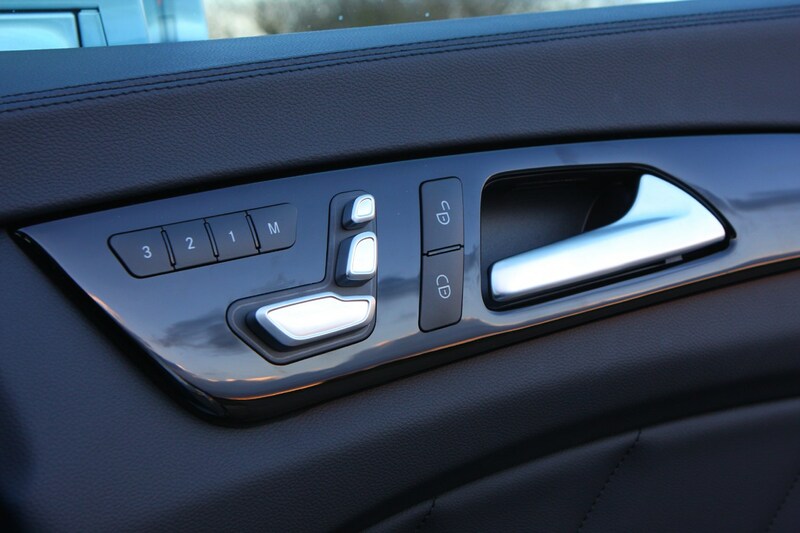 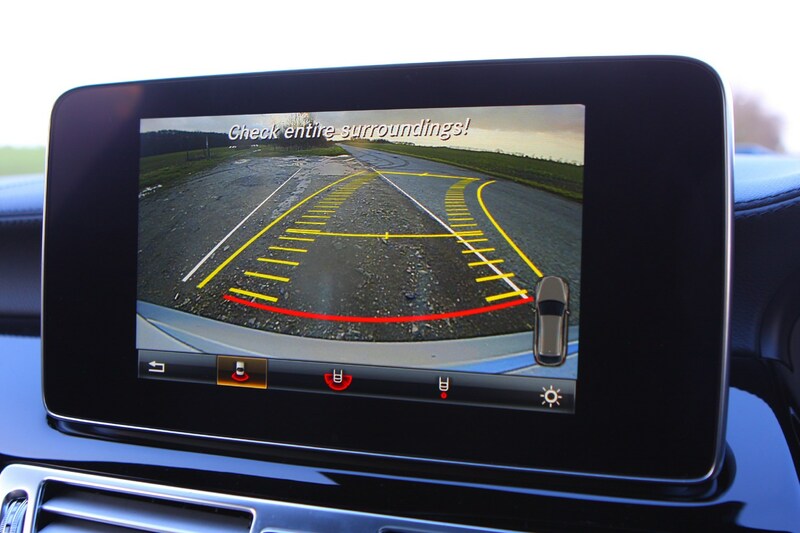 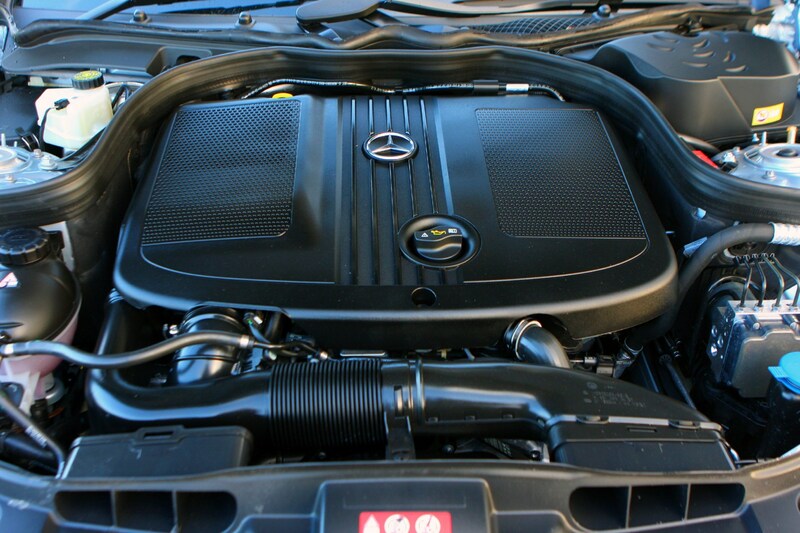 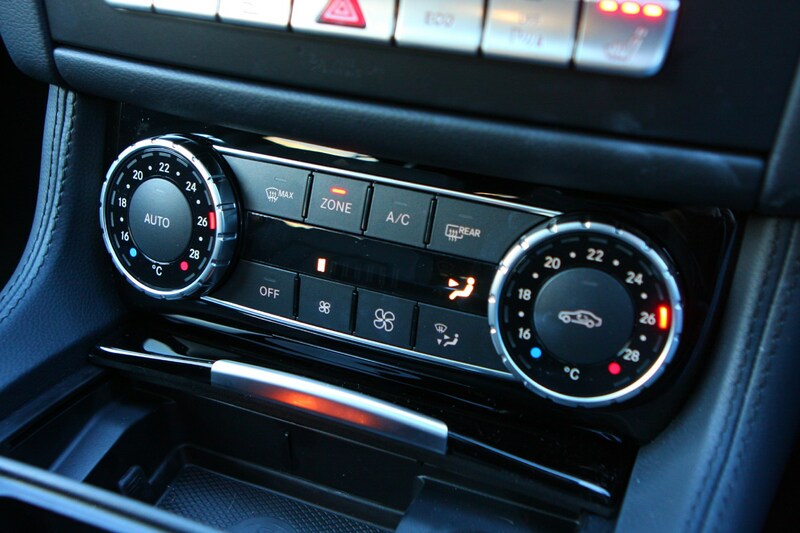 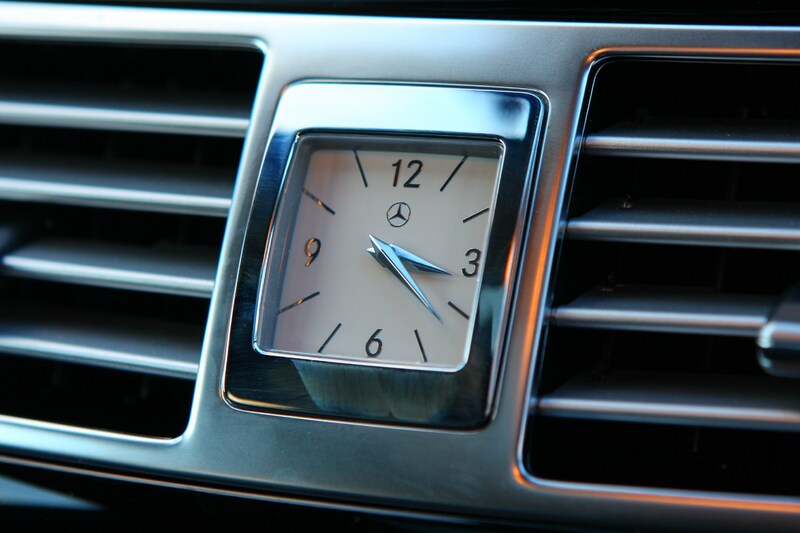 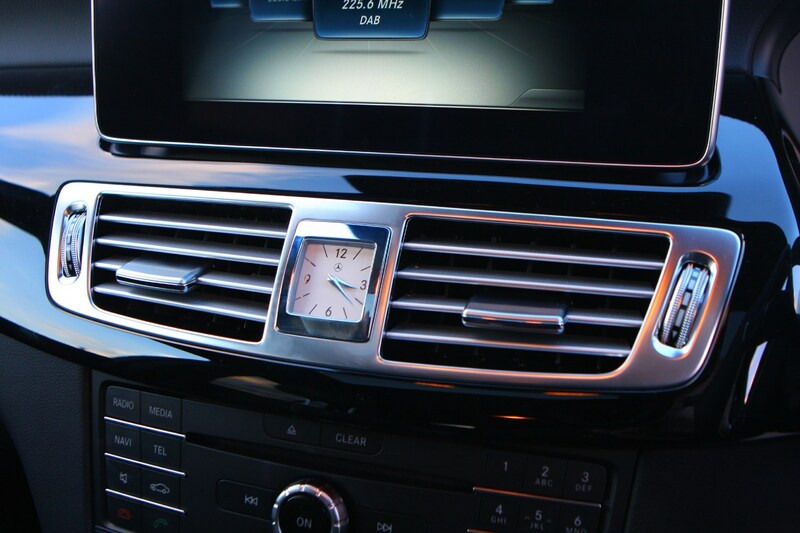 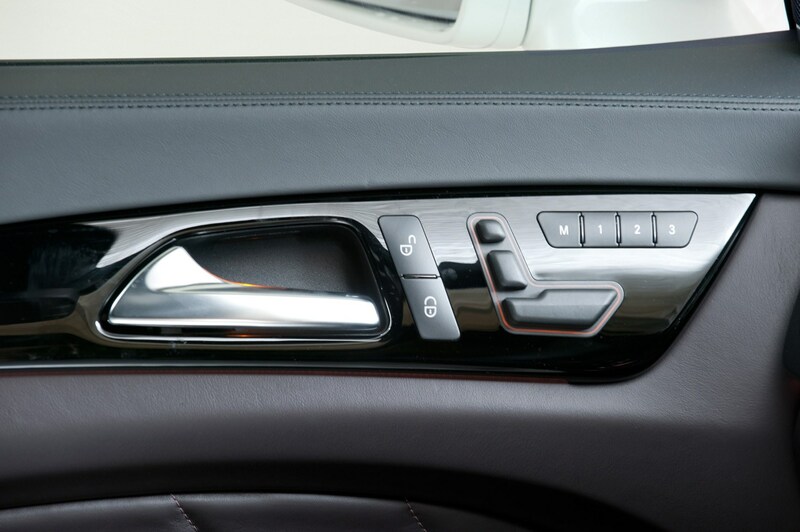 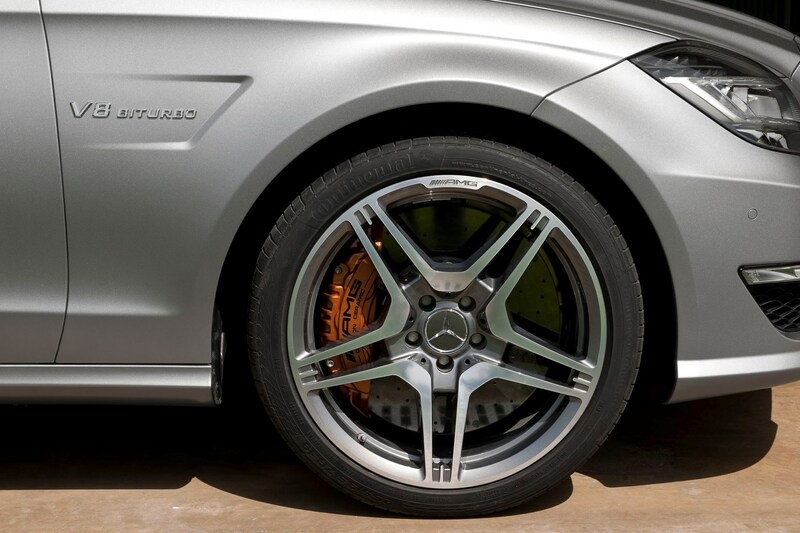 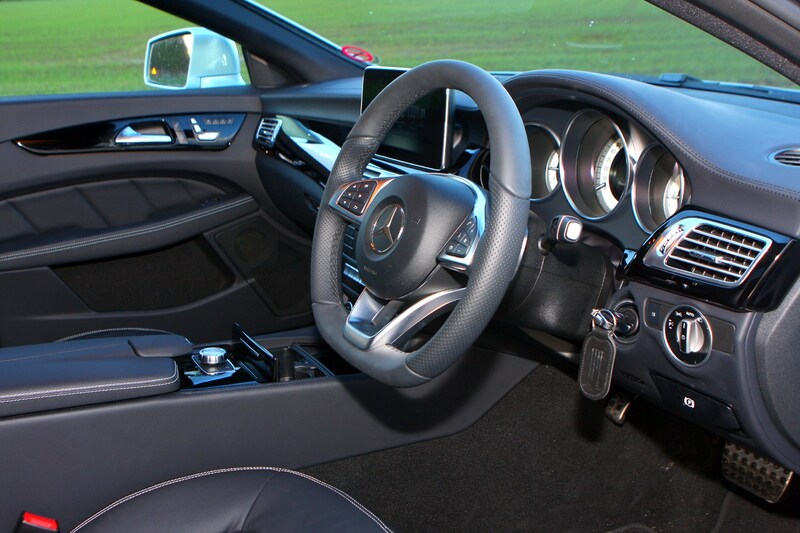 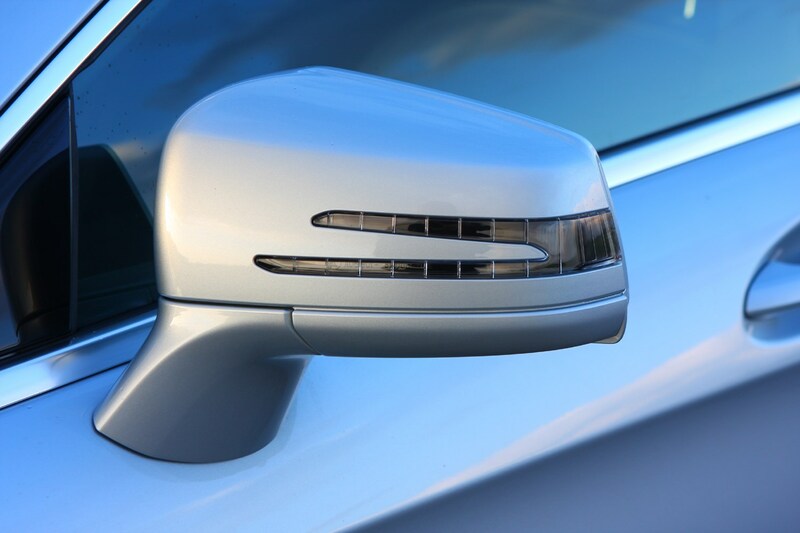 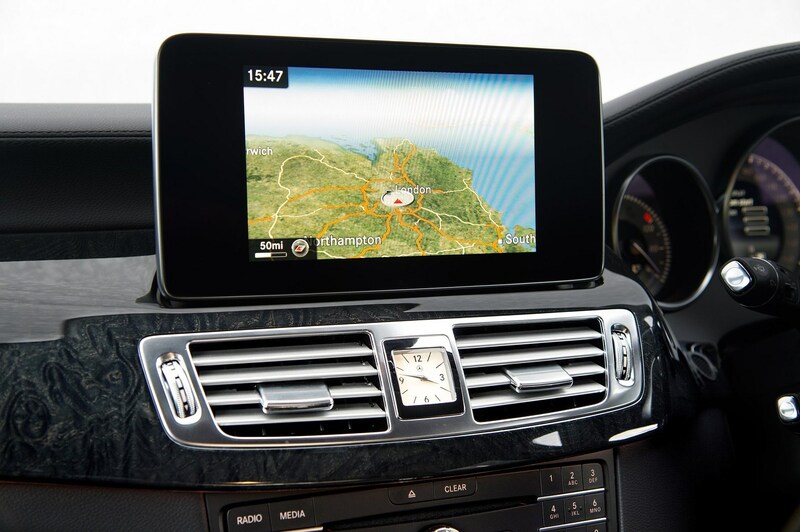 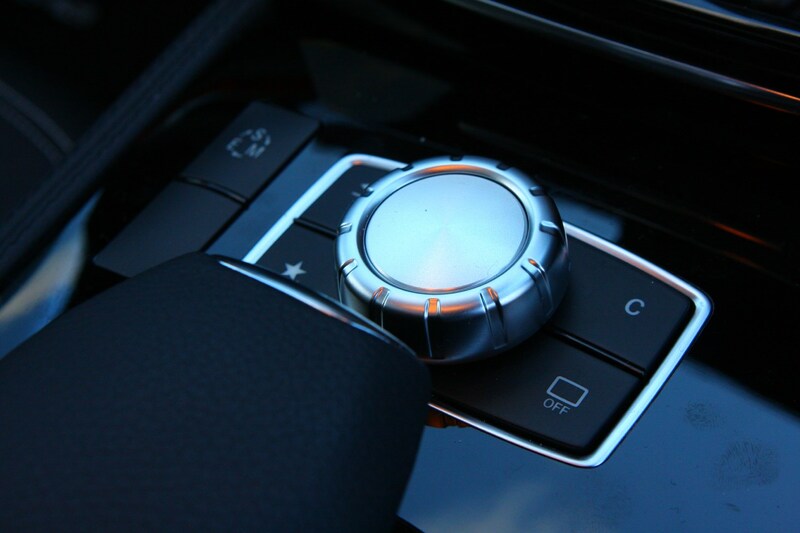 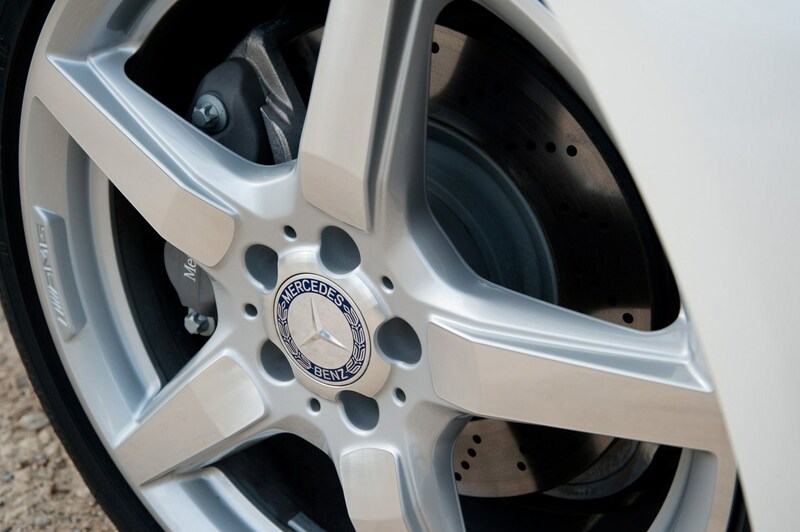 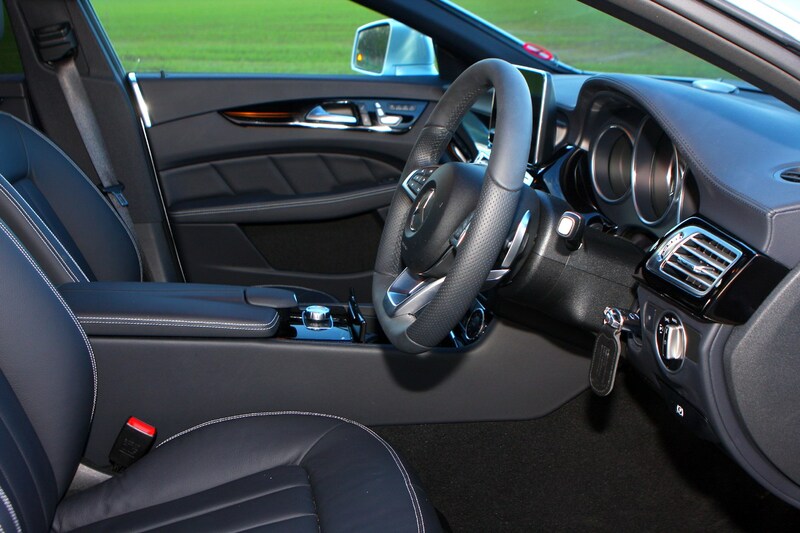 The AMG models include extra driving modes that can be changed through a dial on the central console. 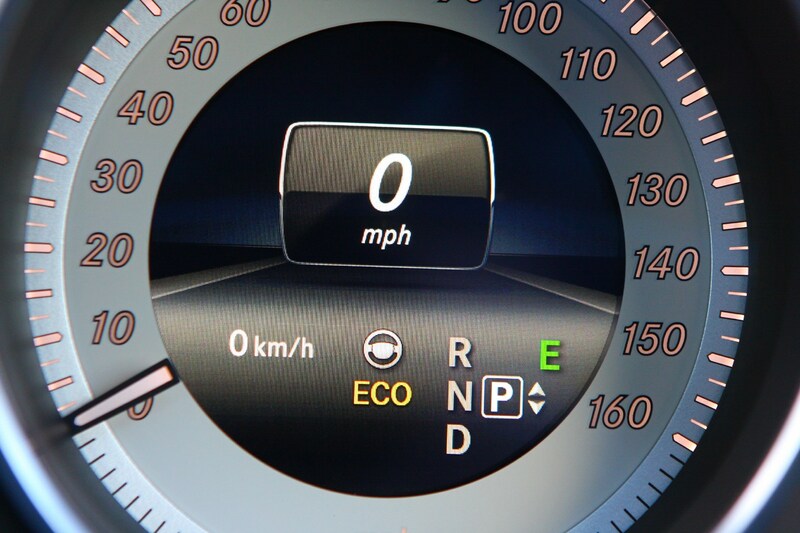 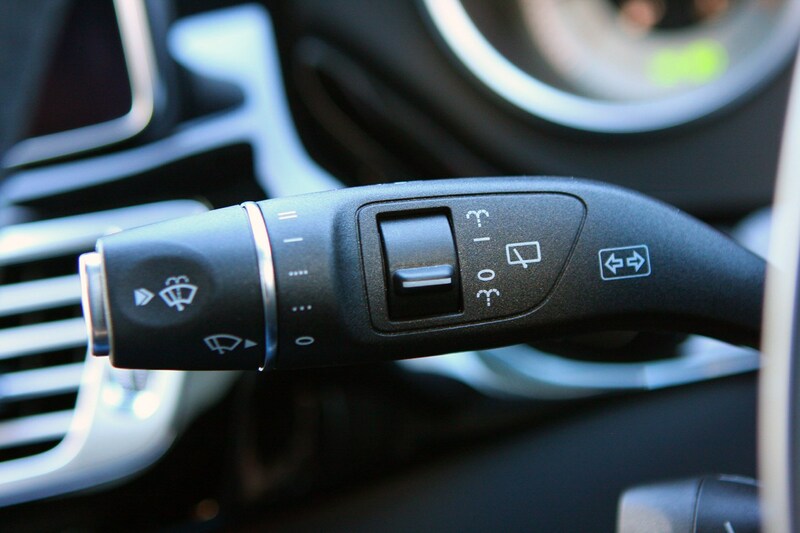 First there’s the so-called ‘Controlled Efficiency’ setting which means stop/start is always enabled. 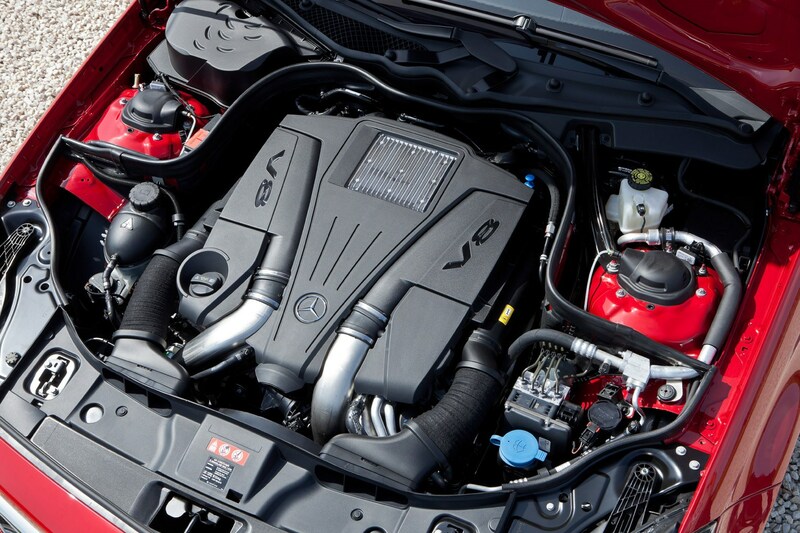 Then there’s Sport, Sport Plus that deliver faster gear changes and better throttle response. 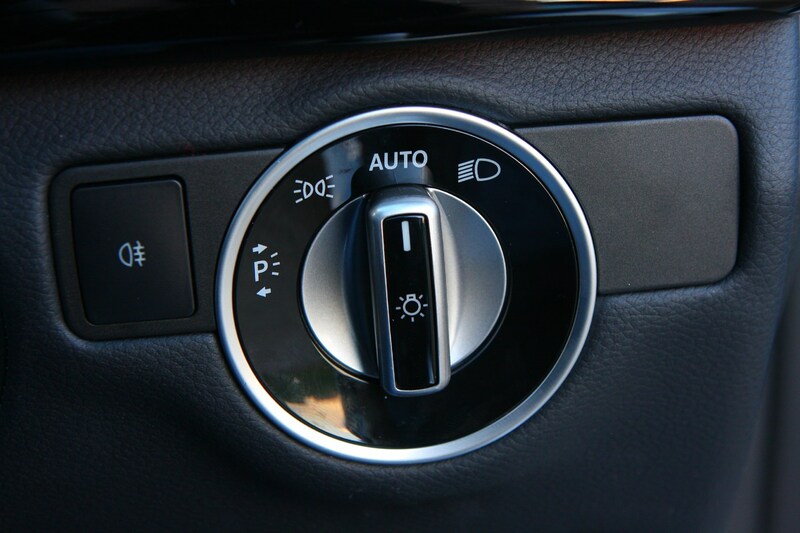 There’s a manual setting too. 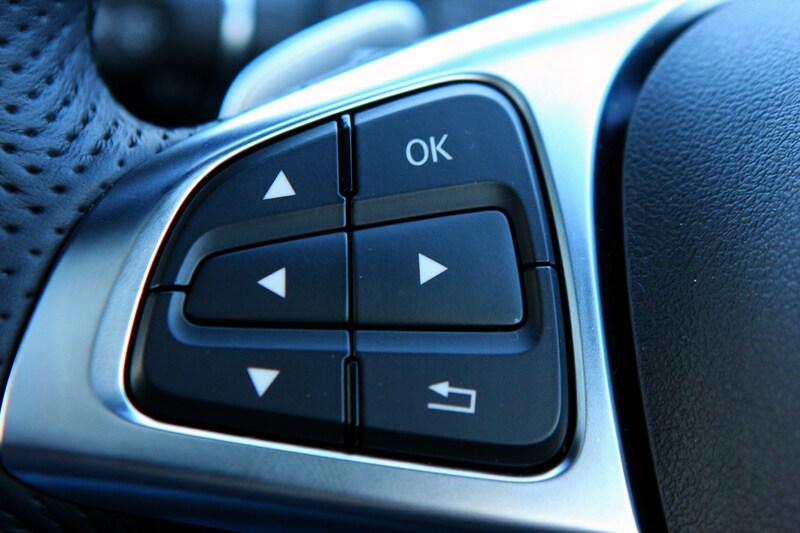 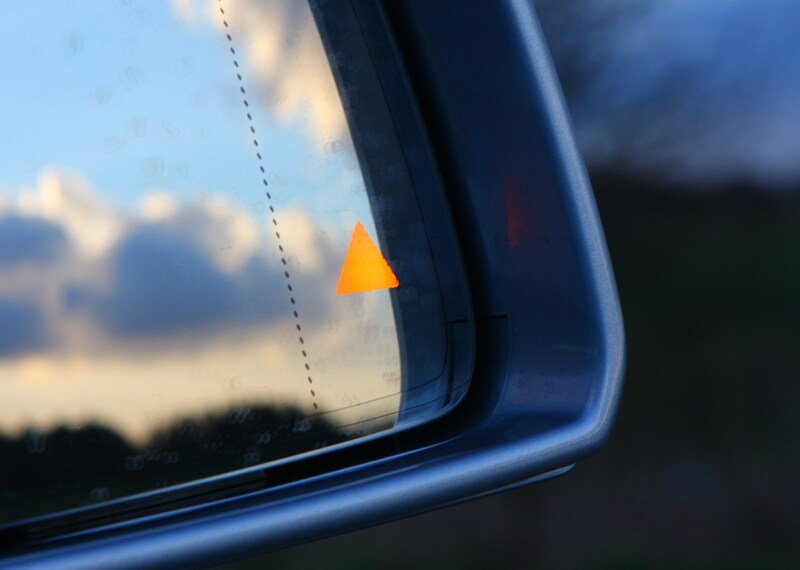 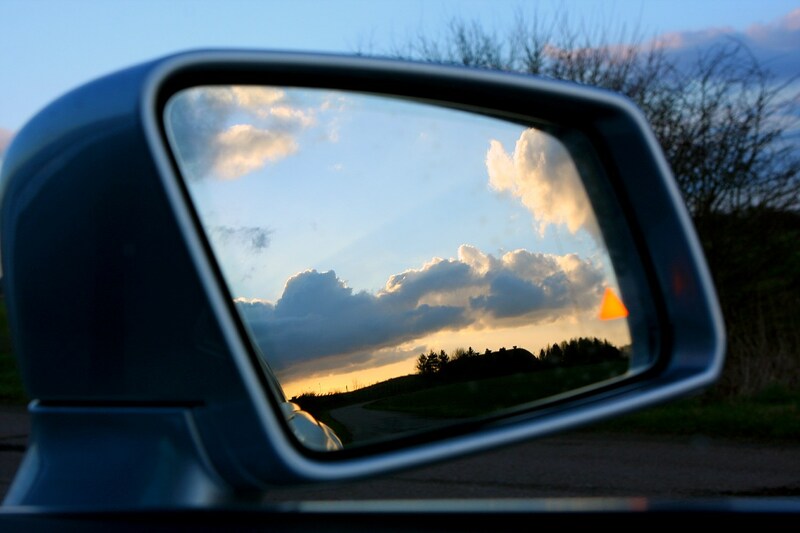 For most driving situations we prefer the Sport mode that offers a perfect compromise but Controlled Efficiency is obviously best in congested areas because it reduces fuel use. 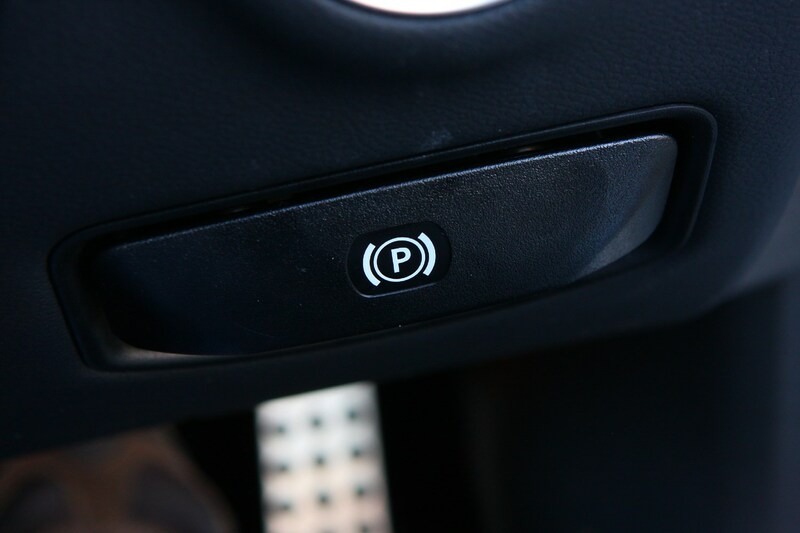 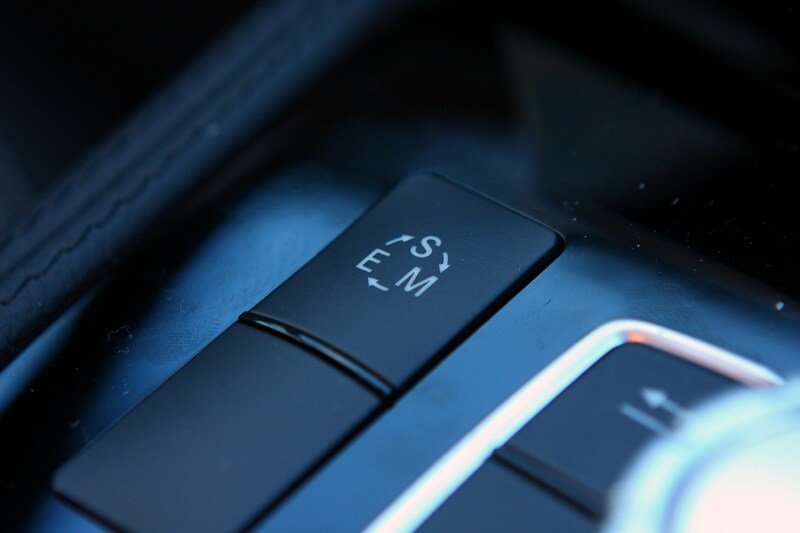 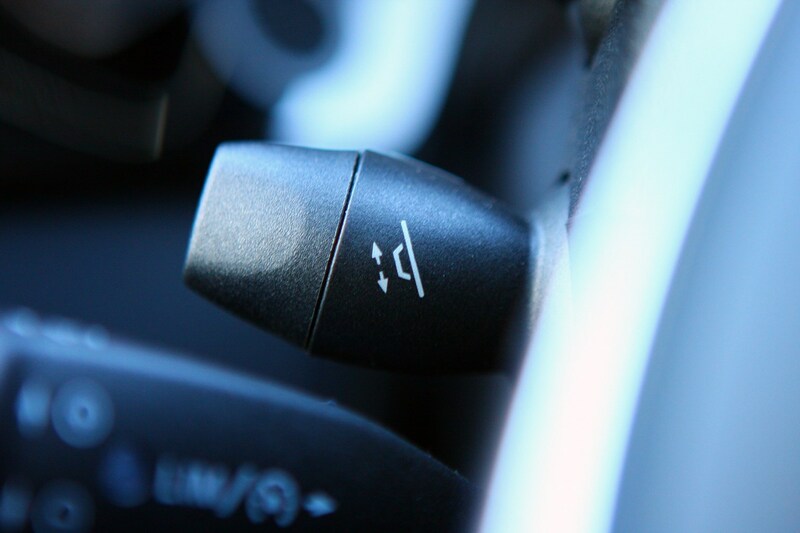 There’s also a button to turn off the ESP and a button that firms up the AMG’s suspension for sportier driving. 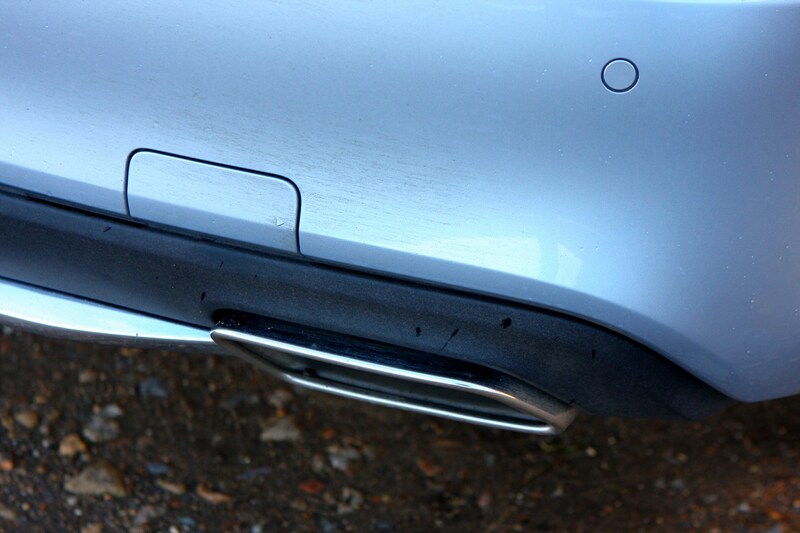 Thankfully it’s not rock hard and is perfectly usable on the motorway. 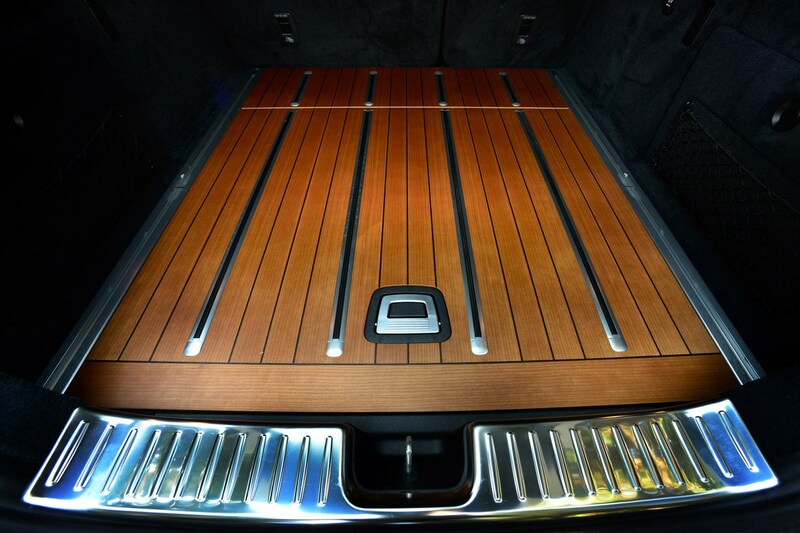 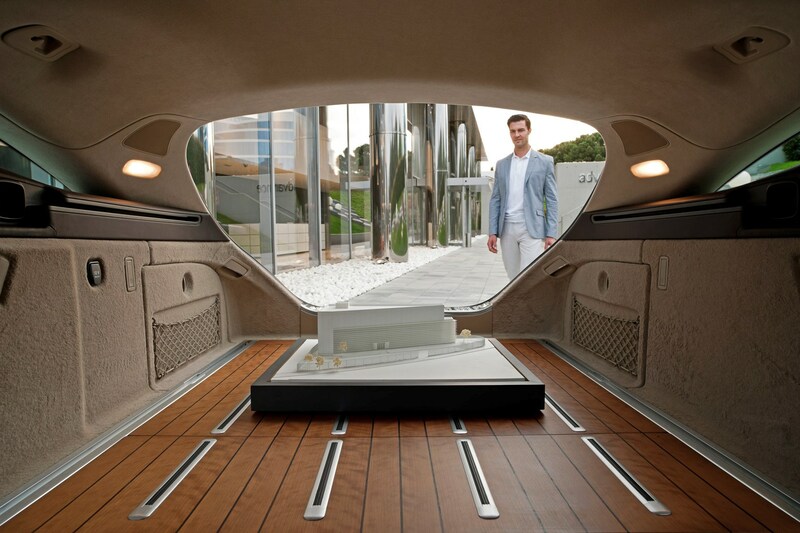 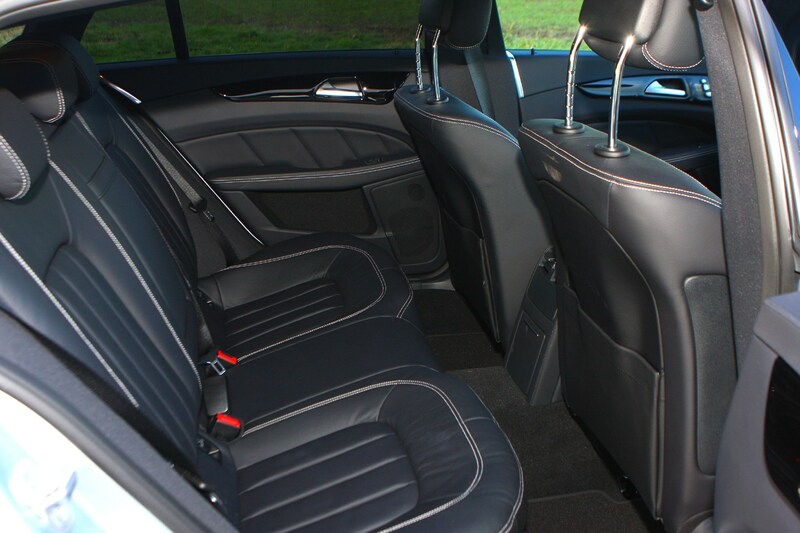 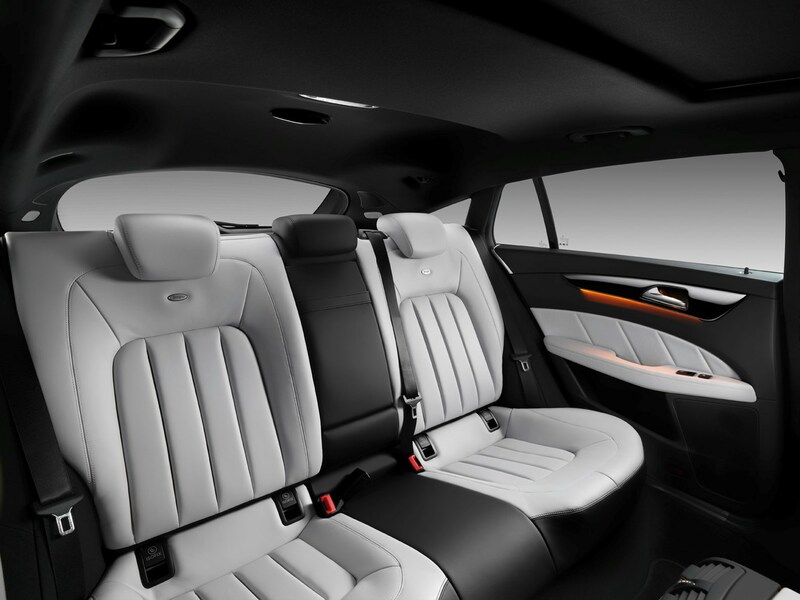 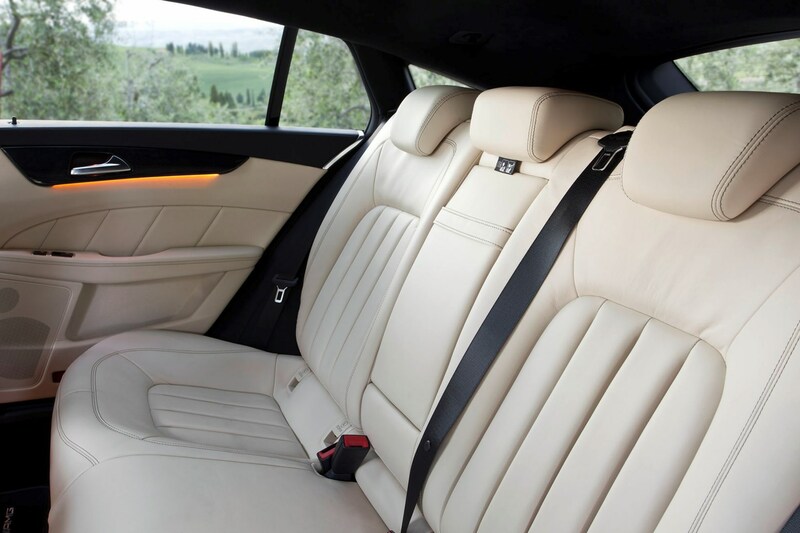 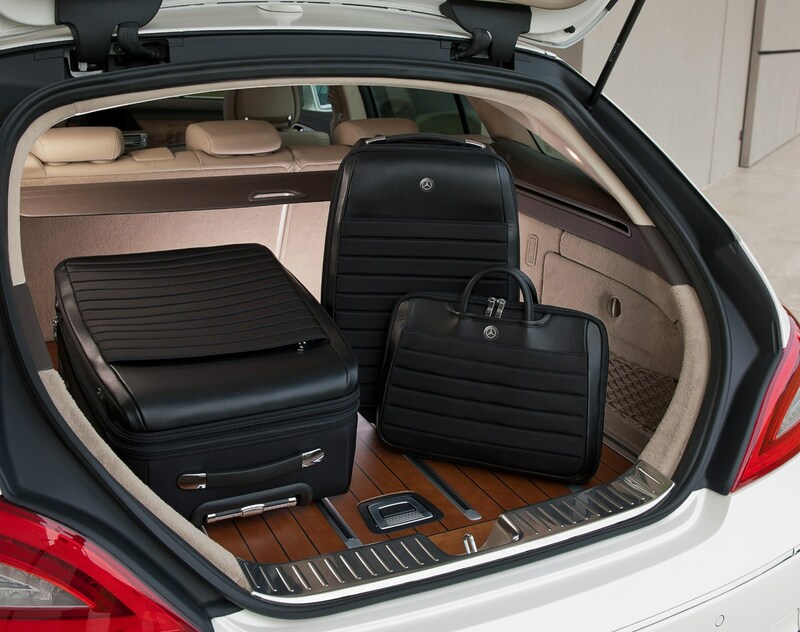 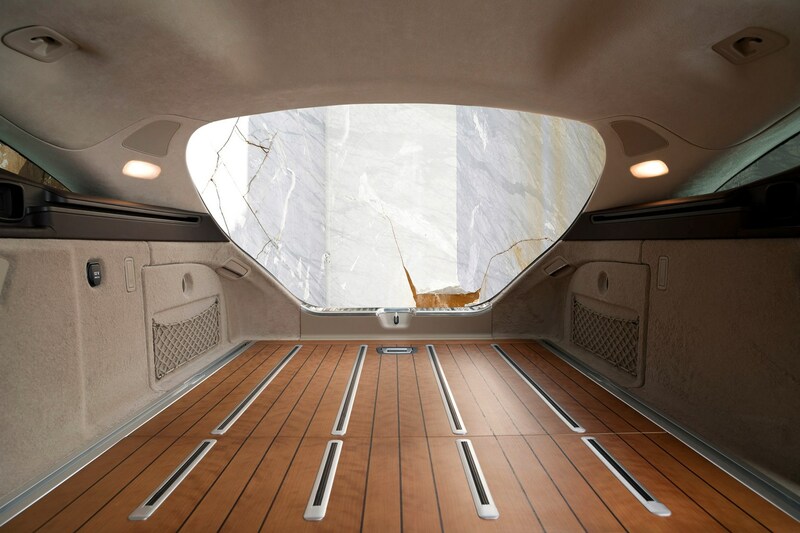 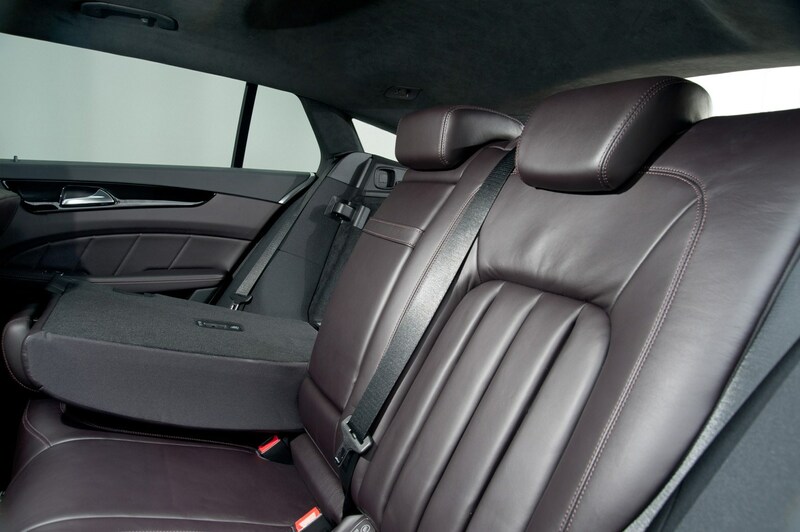 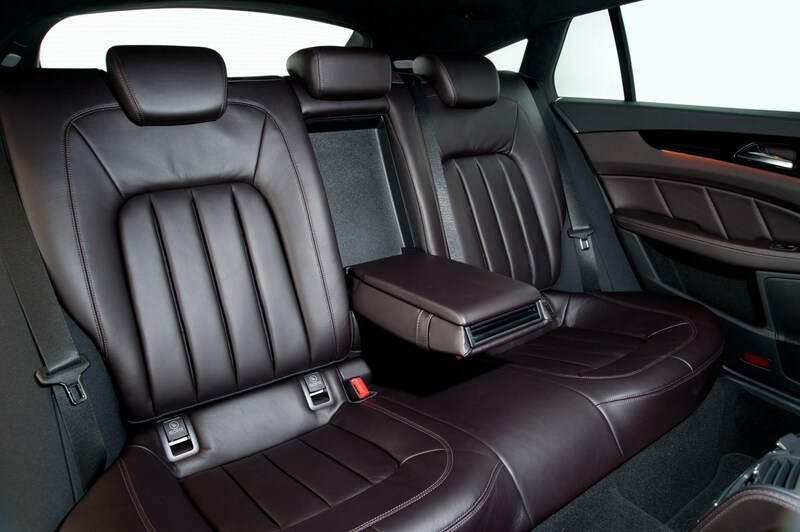 Mercedes tell us that the cabin has been inspired by the interiors of exclusive yachts and if nothing else, you do feel a sense of occasion in this car. 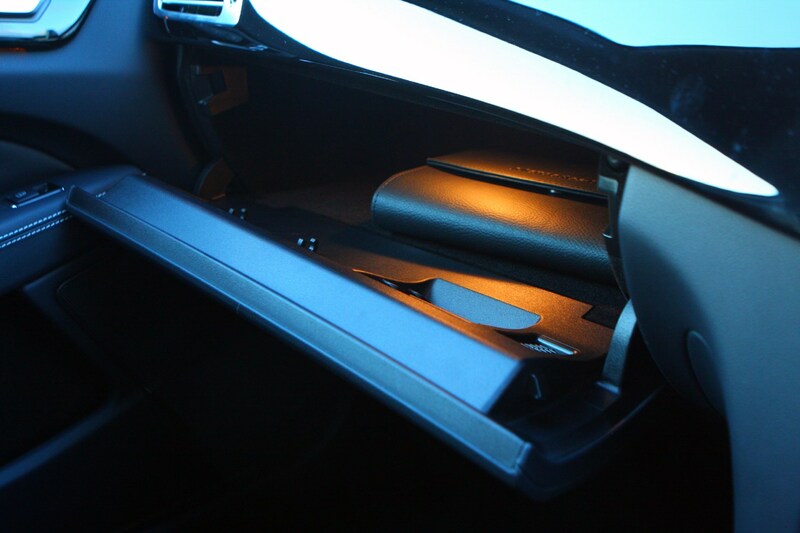 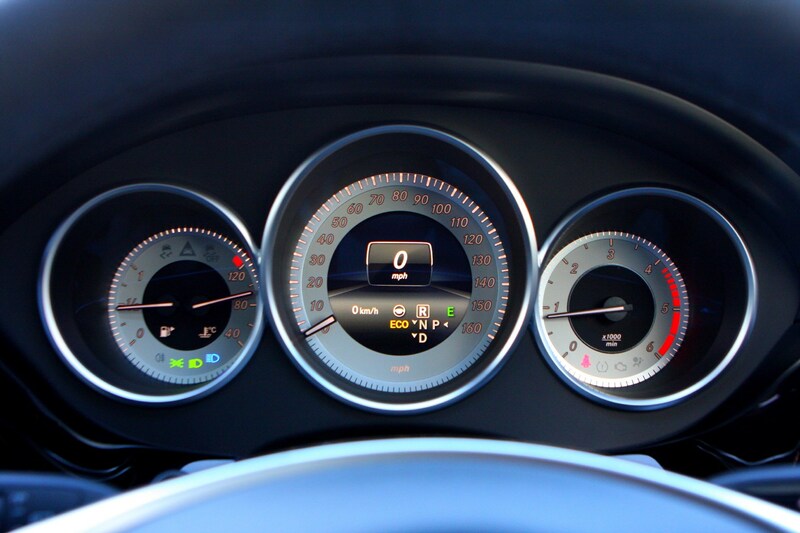 The dashboard is beautifully laid out and bung full of nice, high quality materials. 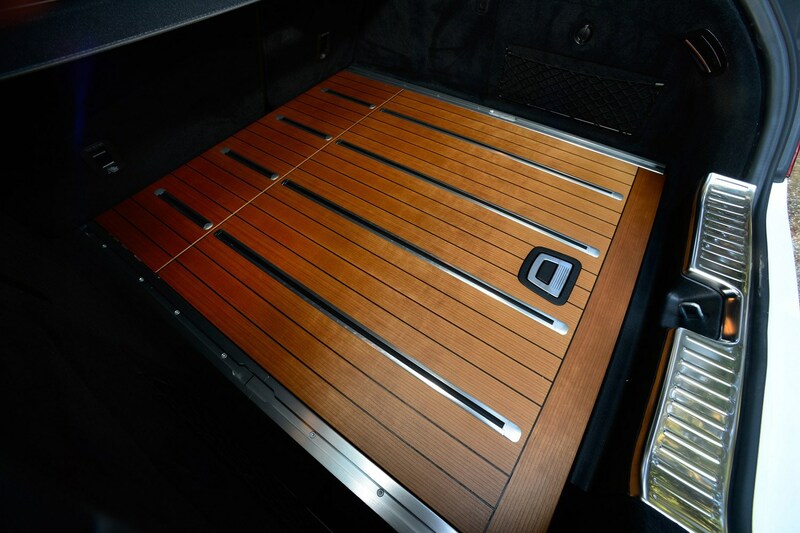 Cherry tree wood is among the varieties of woods used as is smoked oak. 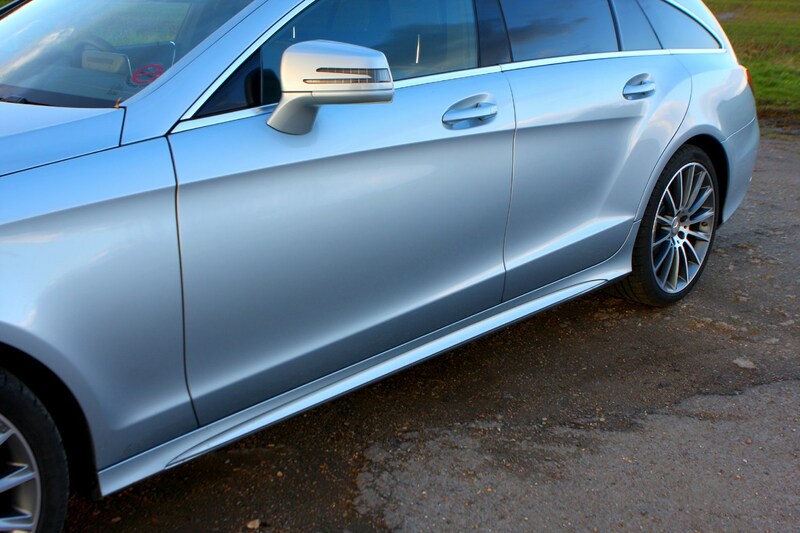 Sounds a lot like a decent whiskey, but there’s no doubting that this, and the mixture of aluminium detailing, amounts to a real feeling of class. 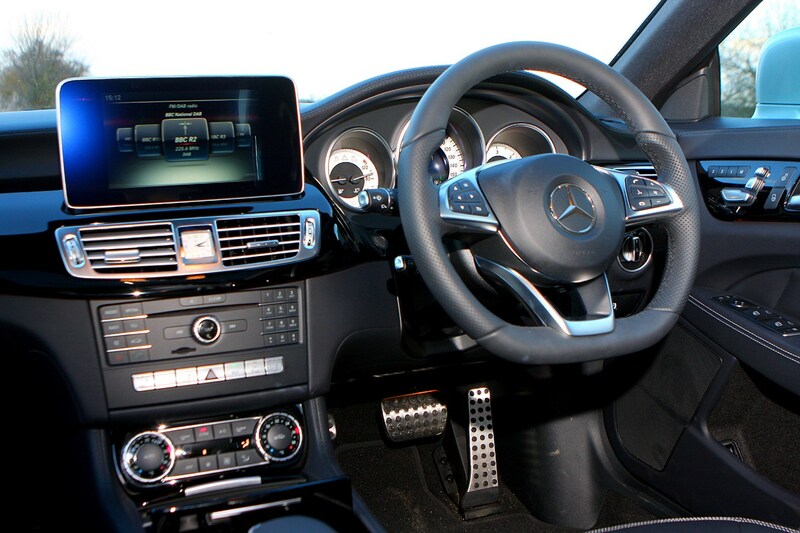 The switchgear is robust and the dash layout is logical. 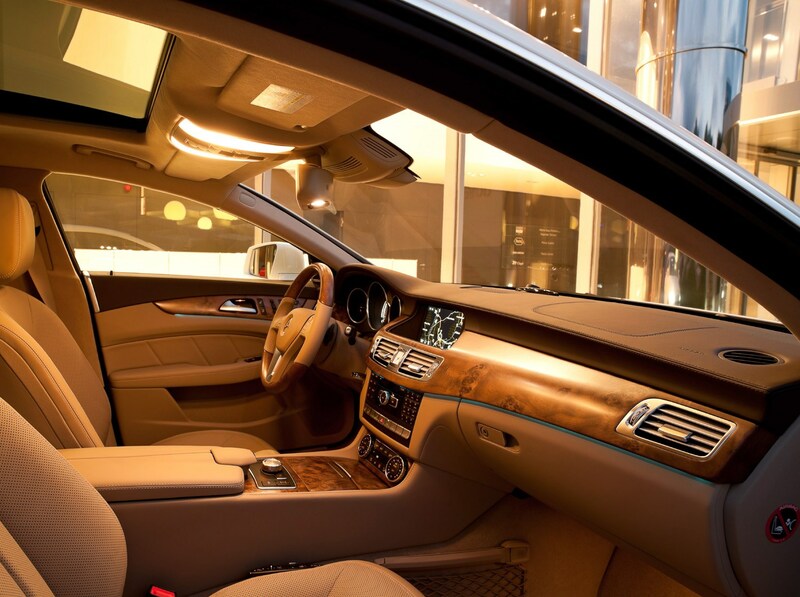 It’s a very pleasant place in which to sit. 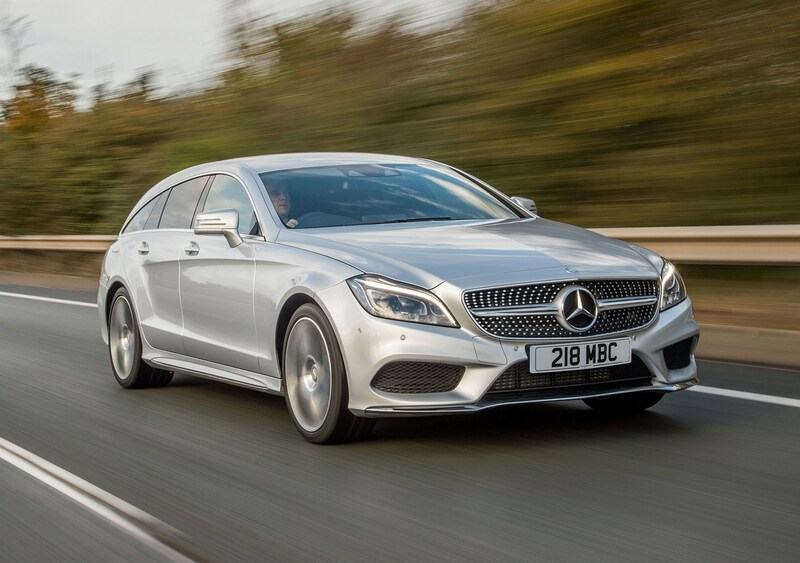 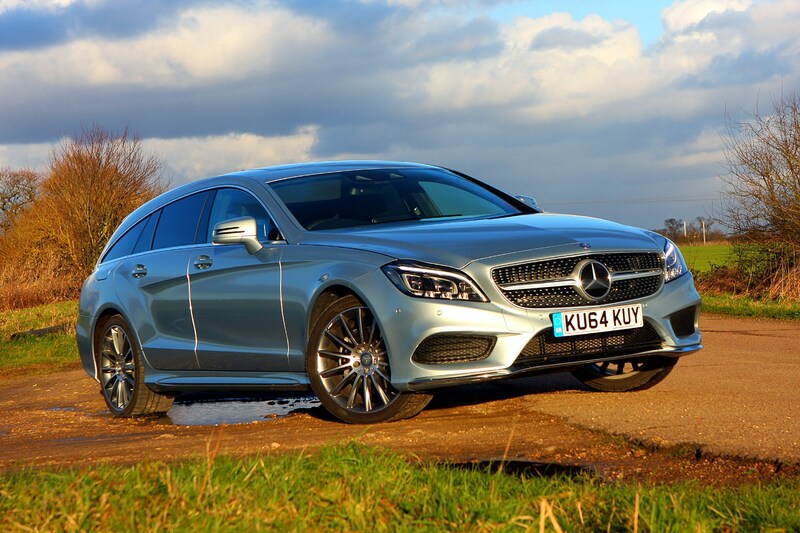 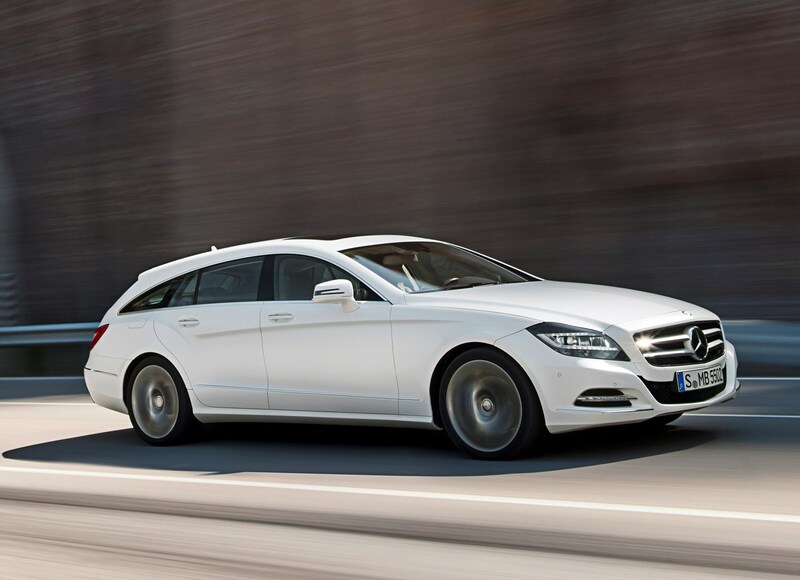 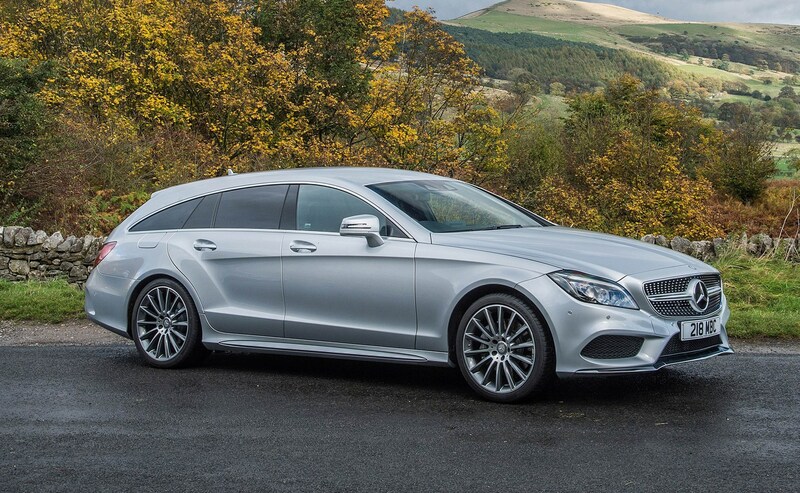 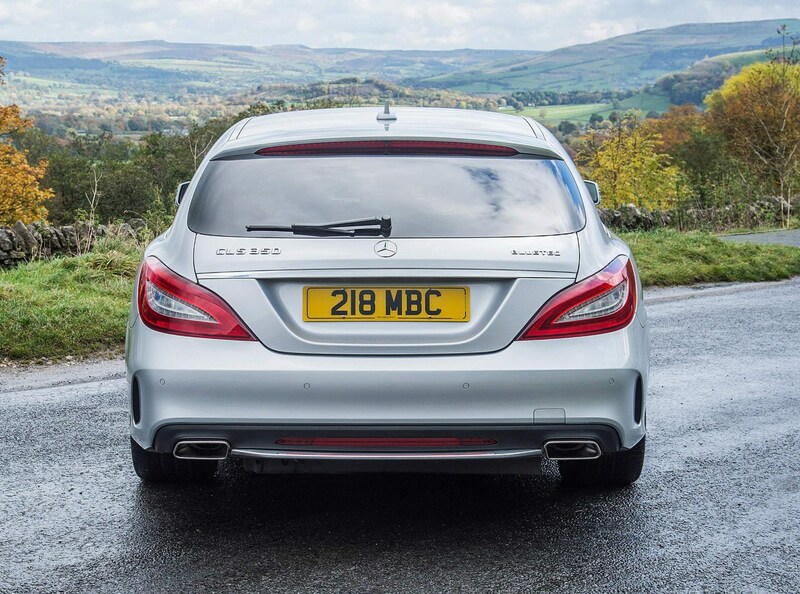 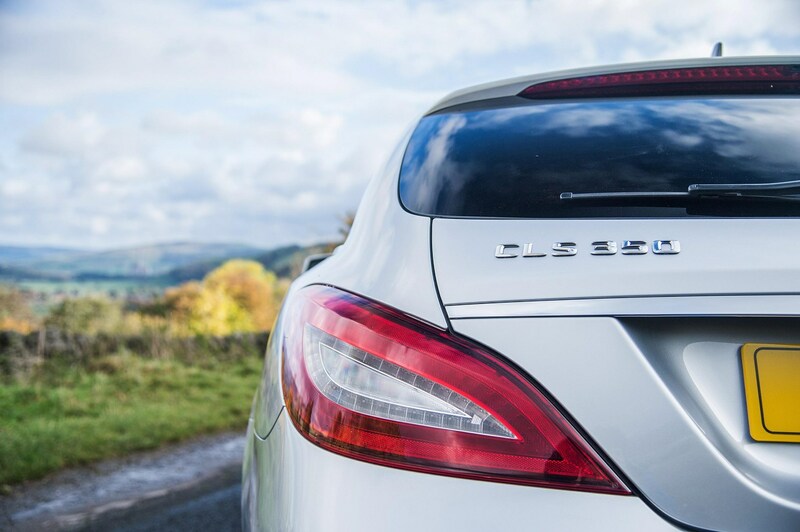 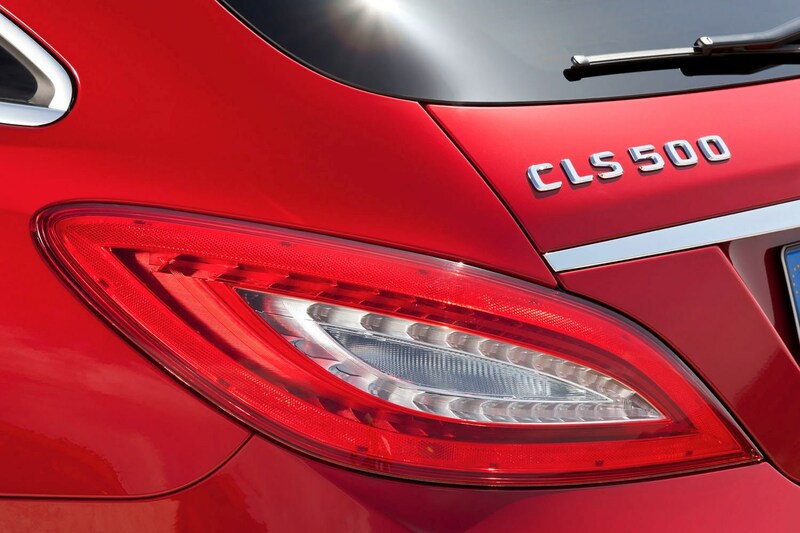 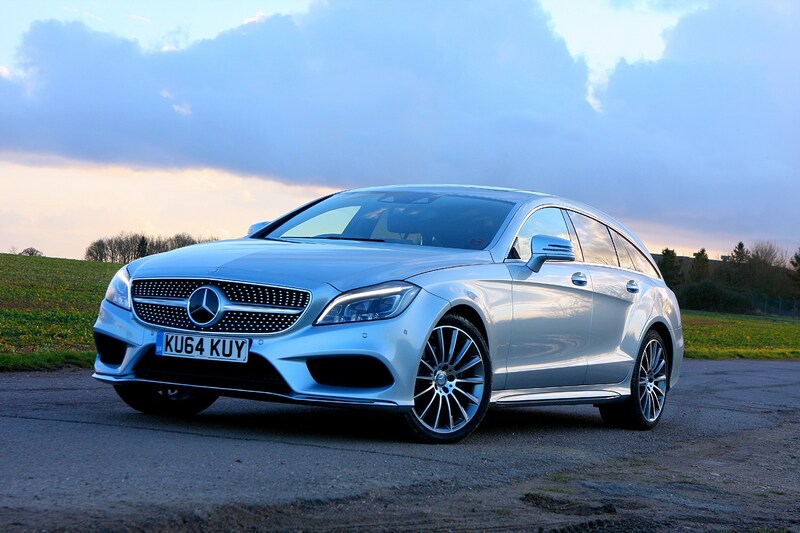 If you do end up feeling a bit battered after a long drive then you have probably got the seat setting wrong because Mercedes-Benz CLS Shooting Brake comfort levels are excellent. 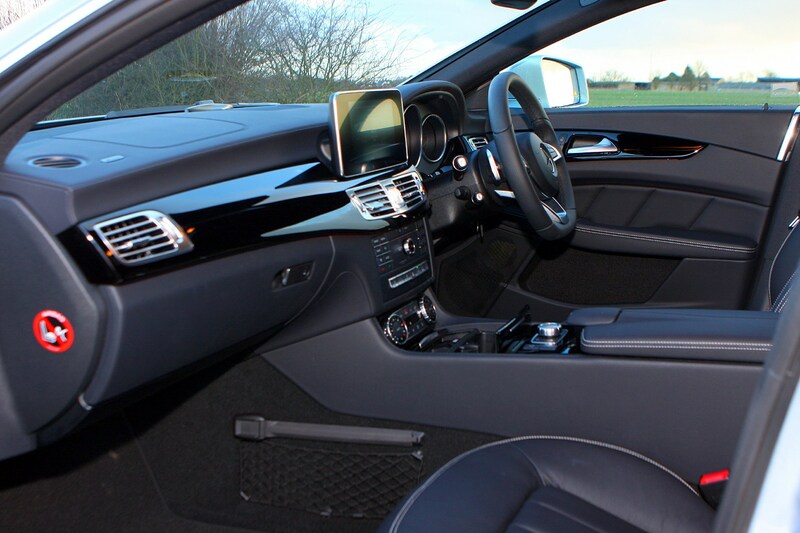 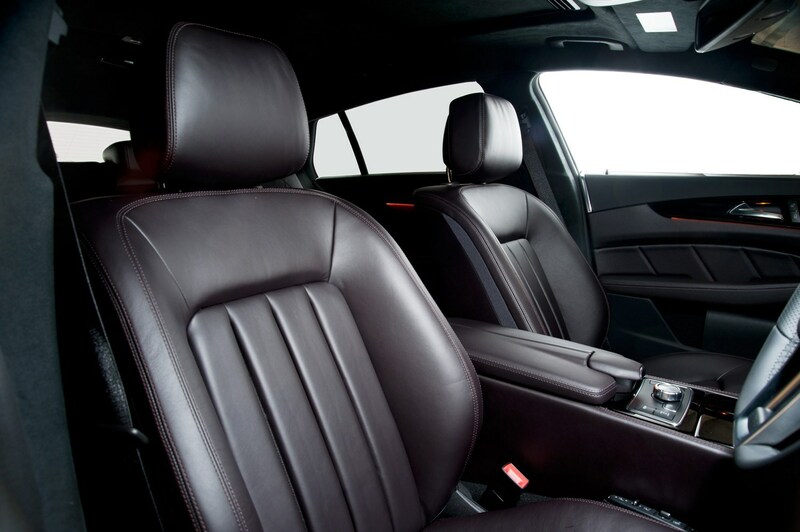 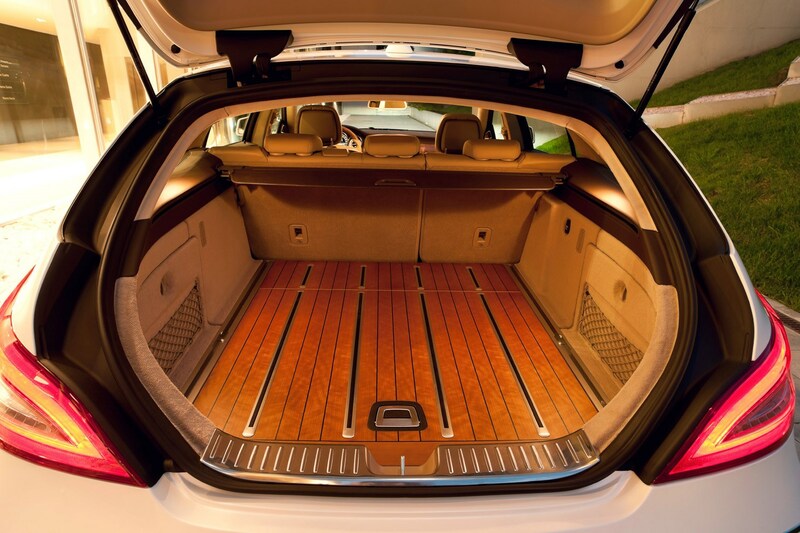 Supportive seating, with a wide range of adjustments, coupled to a silky smooth ride and a quiet cabin gives this car a serenity that’s hard to match. 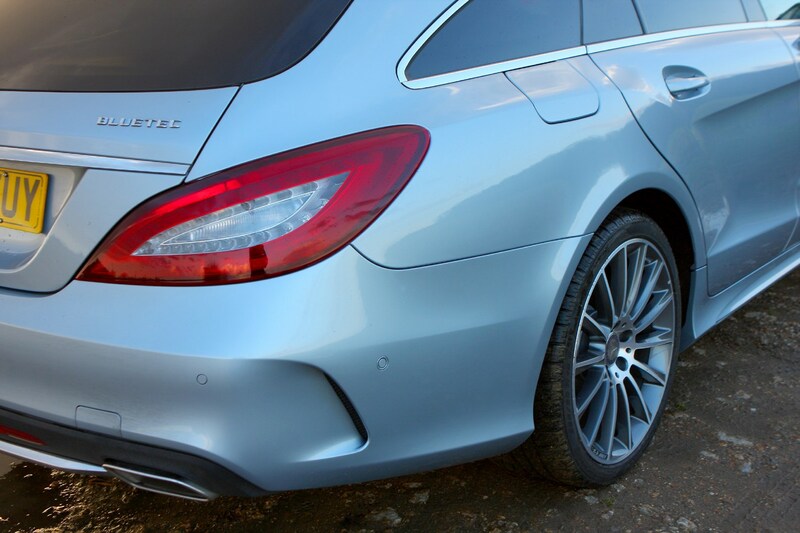 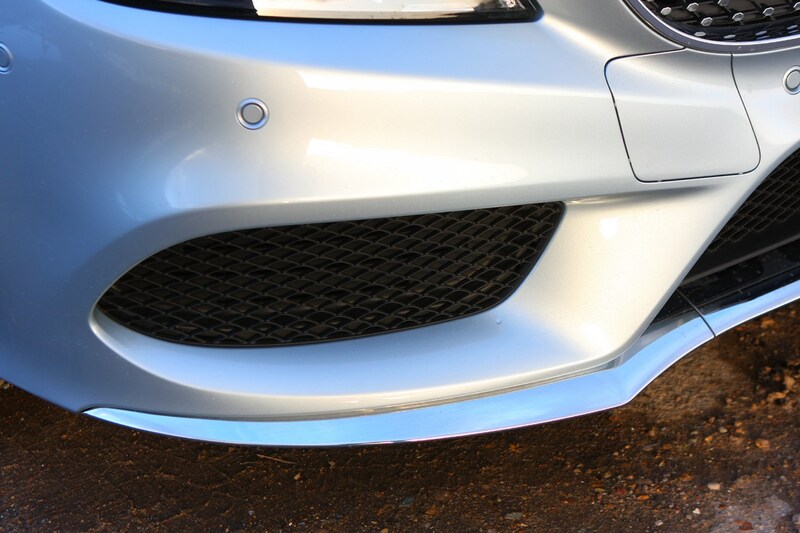 The 350 CDI, in particular, glides over the bumps. 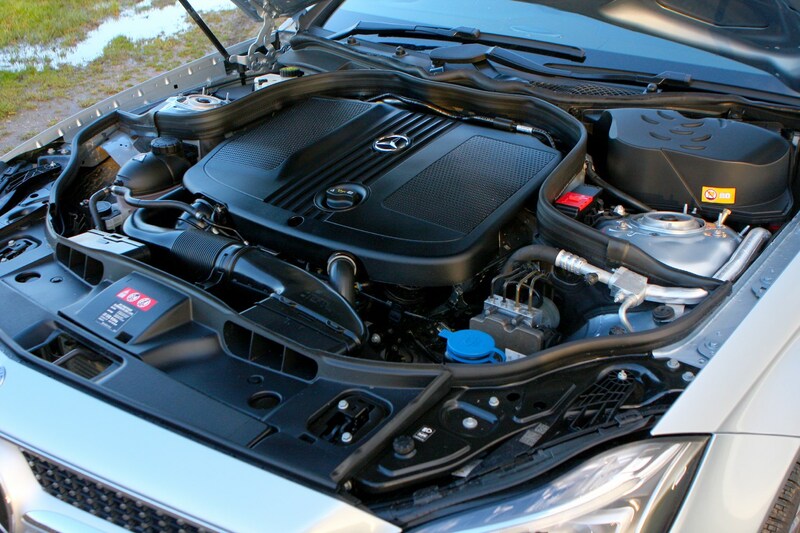 The engines are refined although the 250 can get a little vocal when pushed hard. 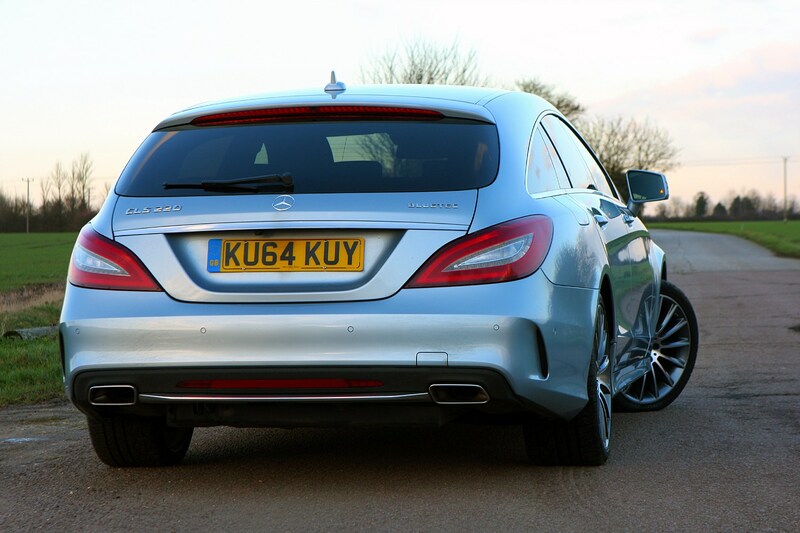 The AMG is loud but that visceral engine roar is entirely welcome when you put your foot down.